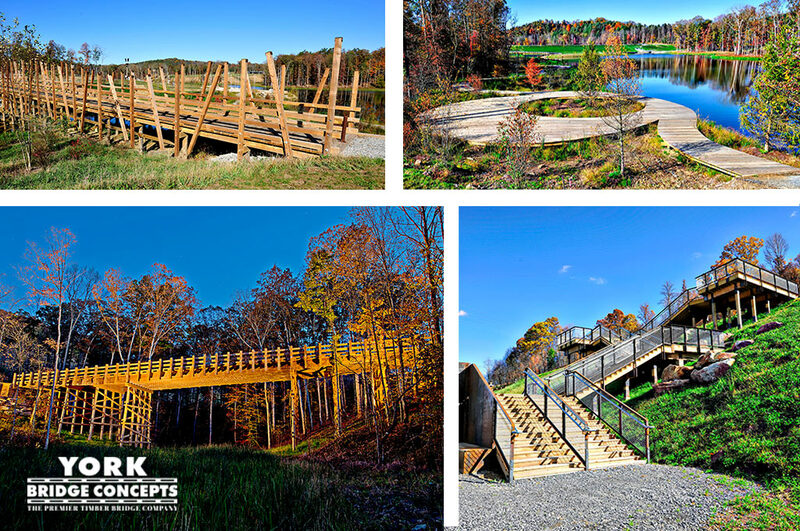 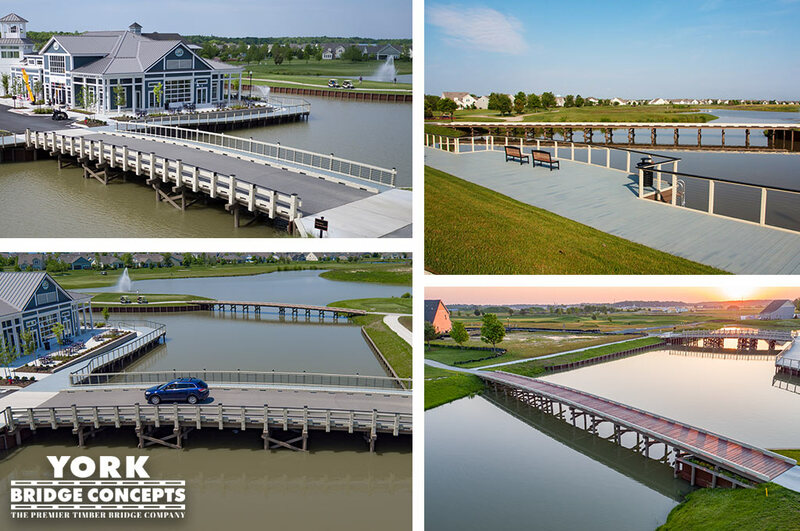 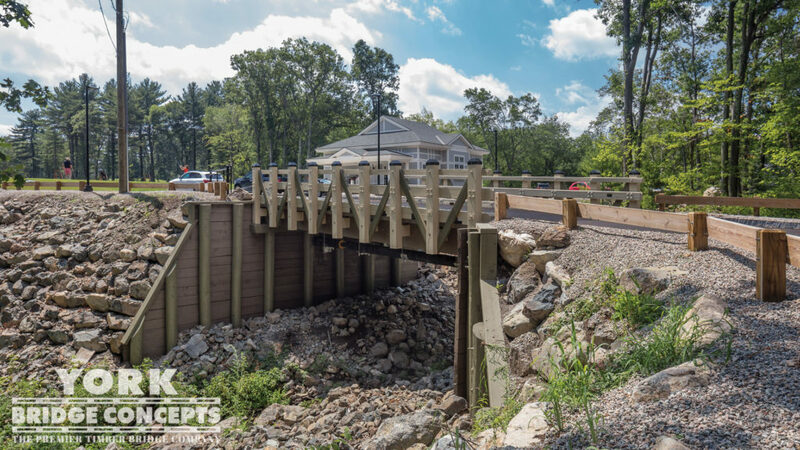 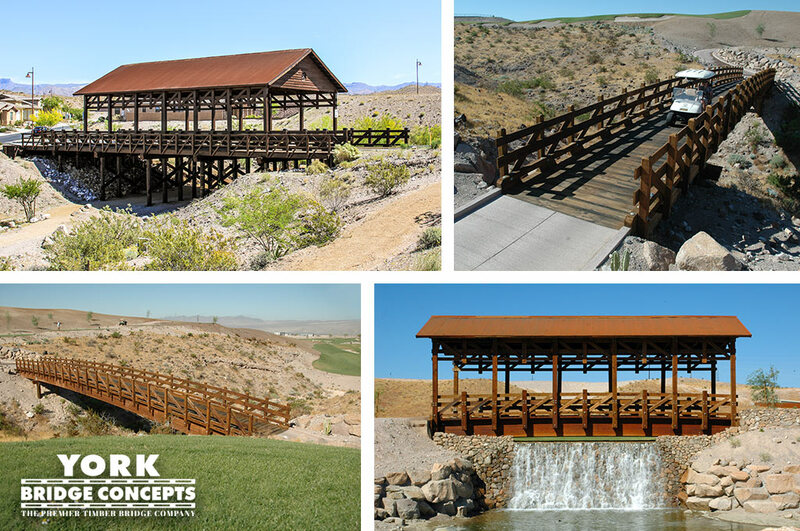 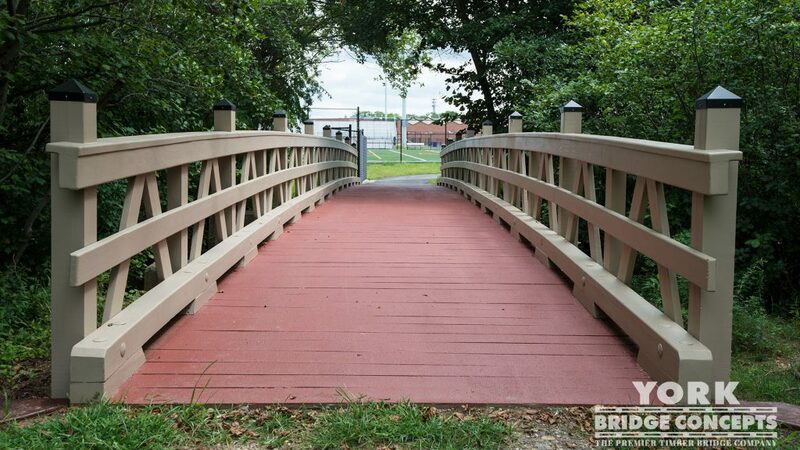 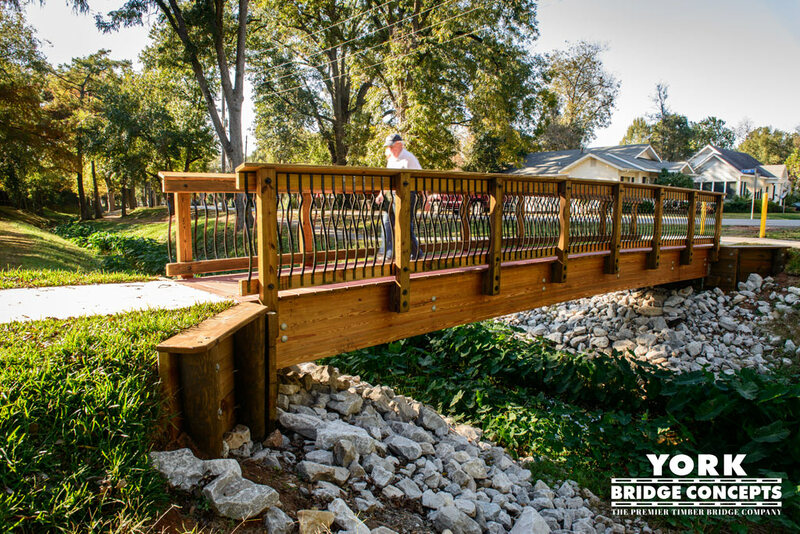 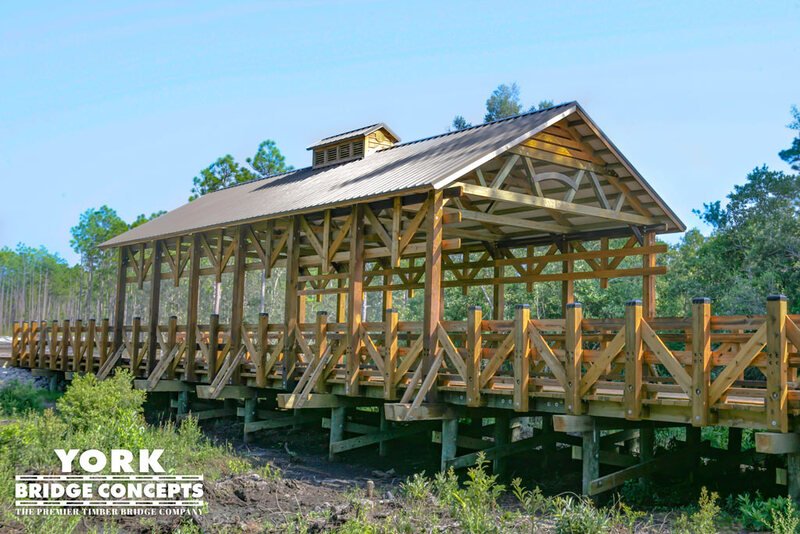 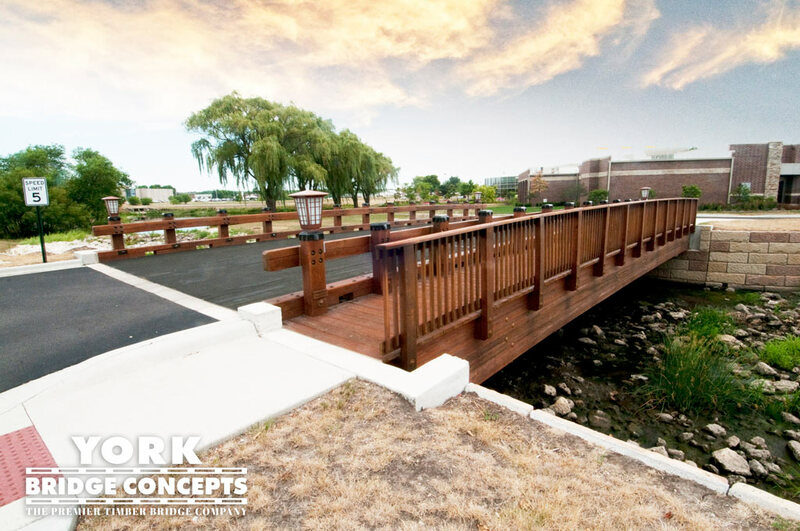 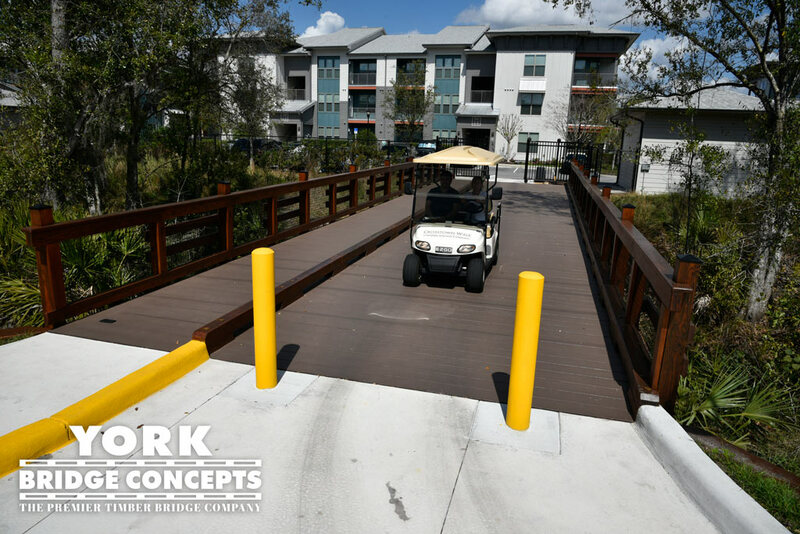 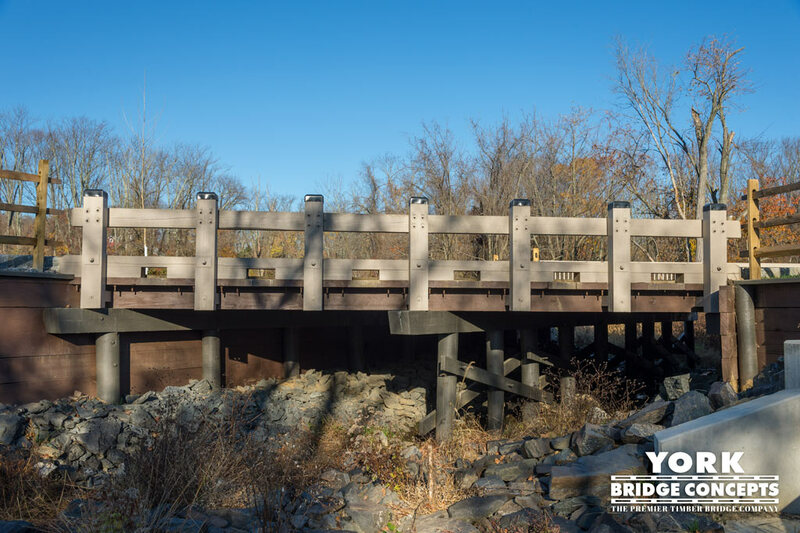 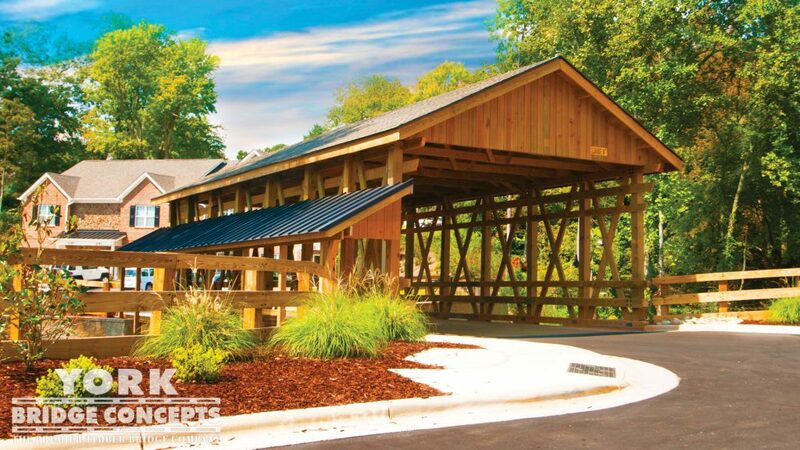 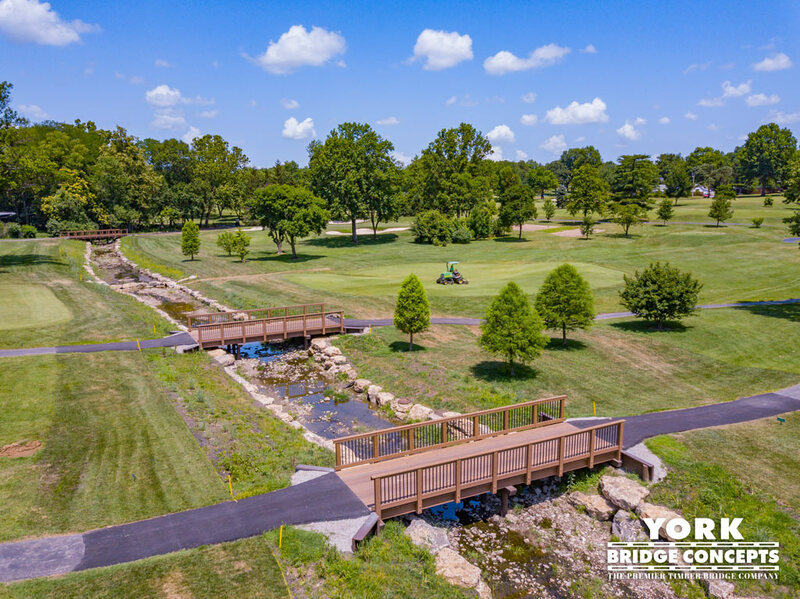 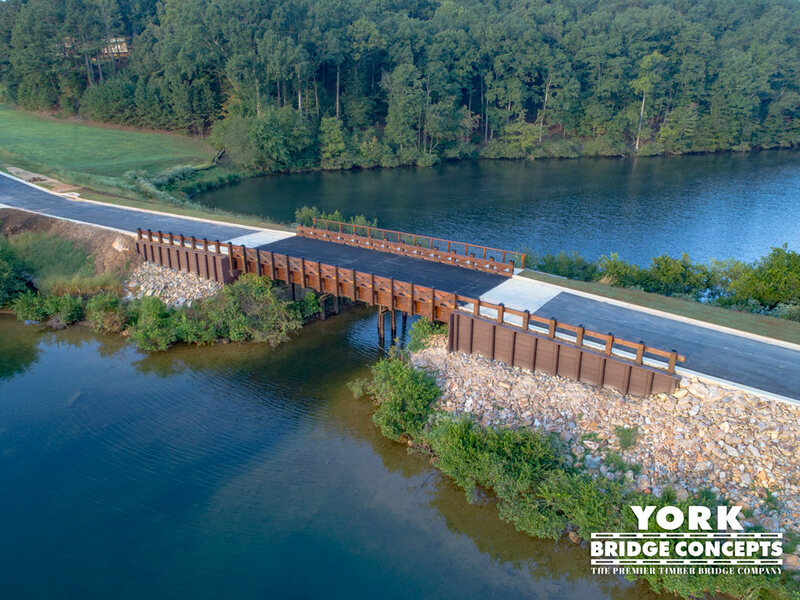 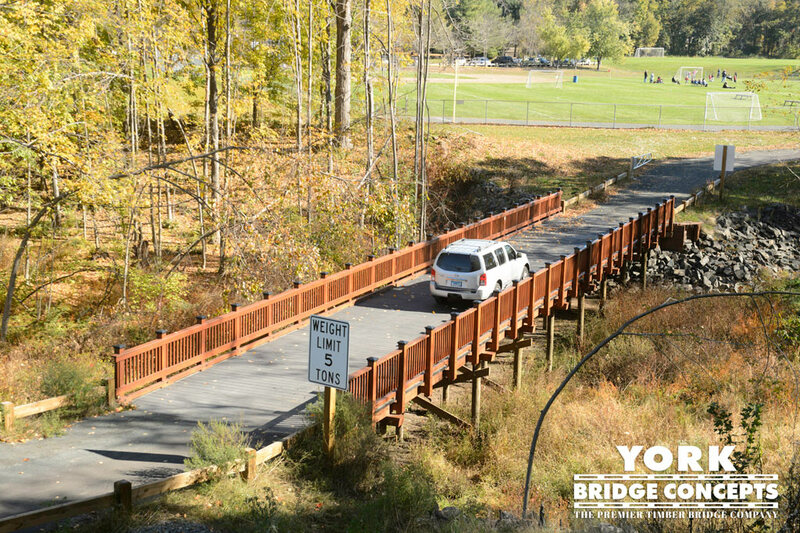 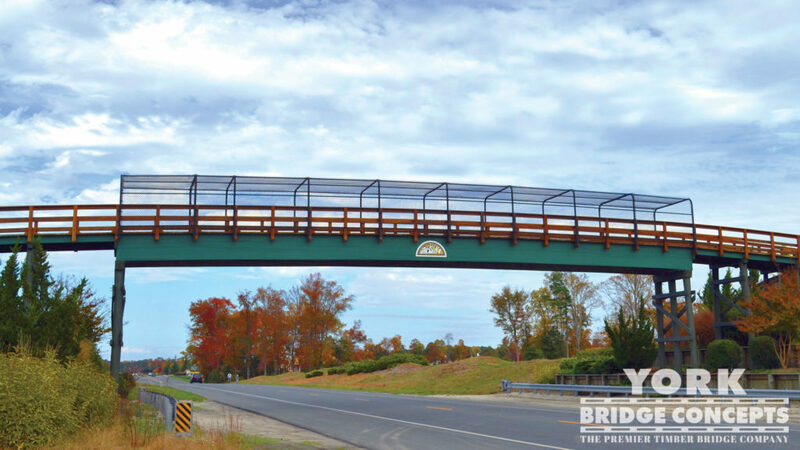 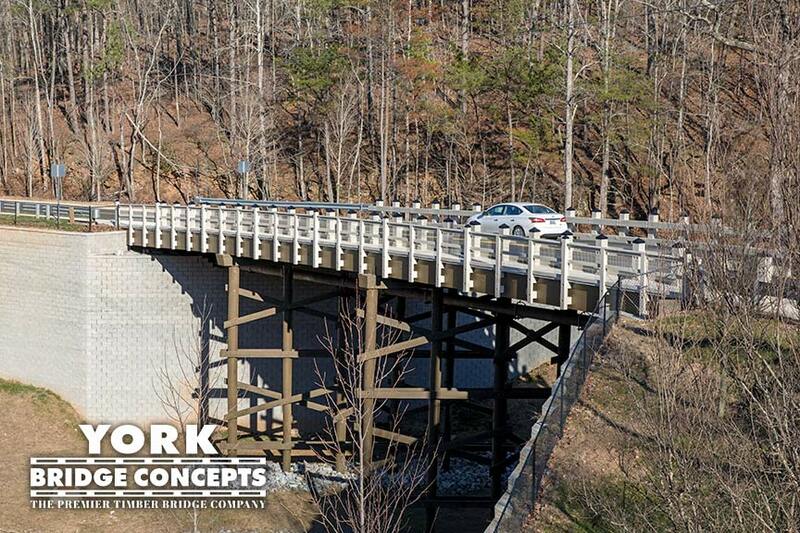 York Bridge Concepts designed and built four golf cart bridges on the historical Westborough Country Club golf course in St. Louis, MO. 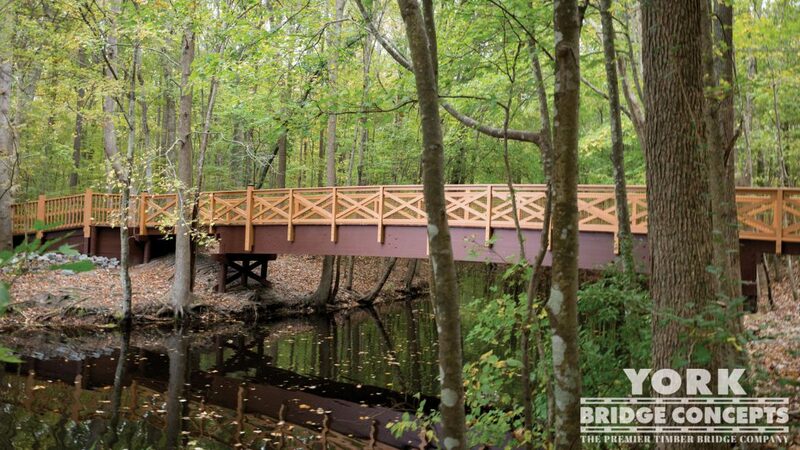 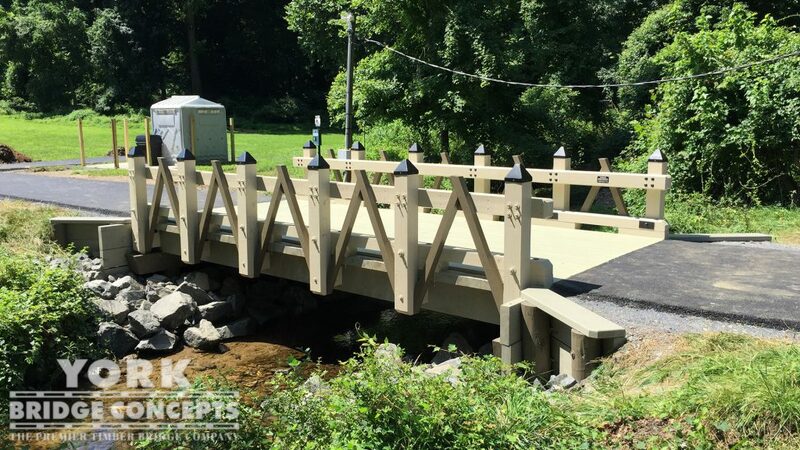 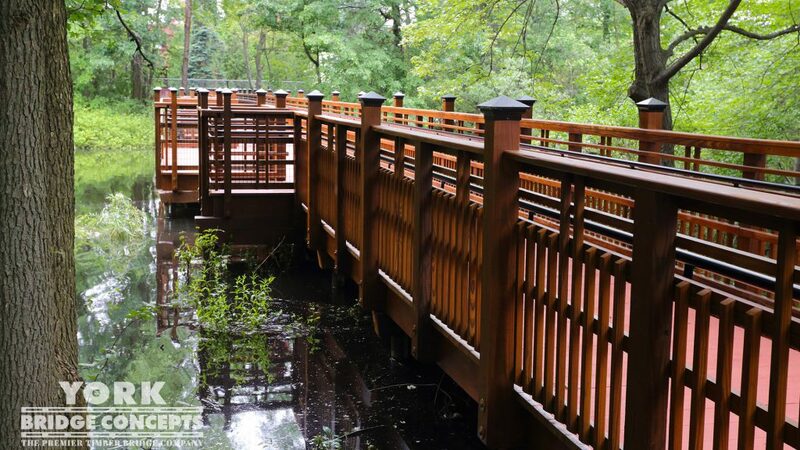 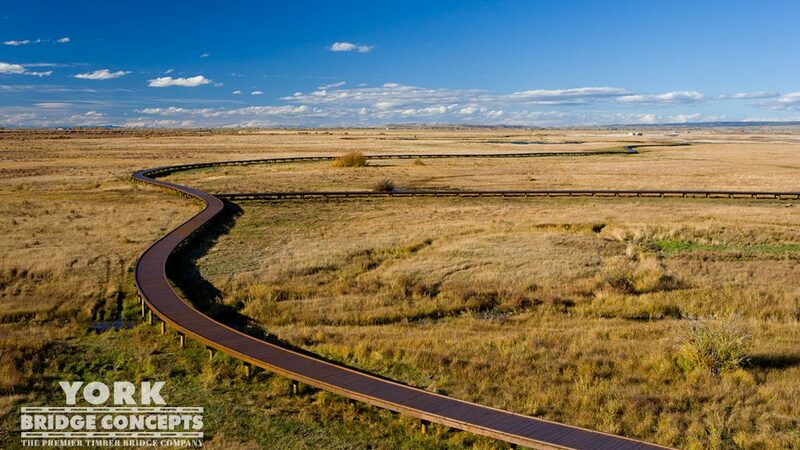 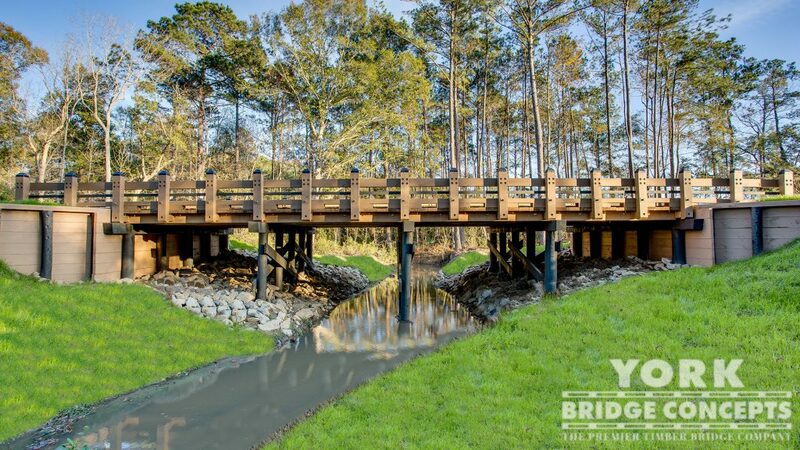 As part of a stream restoration project, Jim Kaplan, COO of the club, wanted to enhance the course with stylish bridge crossings to go together with the immaculate rolling green landscape. 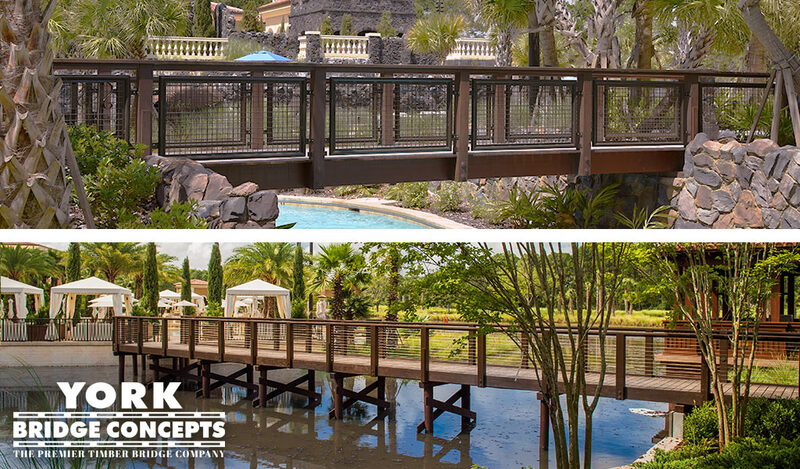 The Decero™ Design team focused on the client’s commitment to high quality and low maintenance in their design. 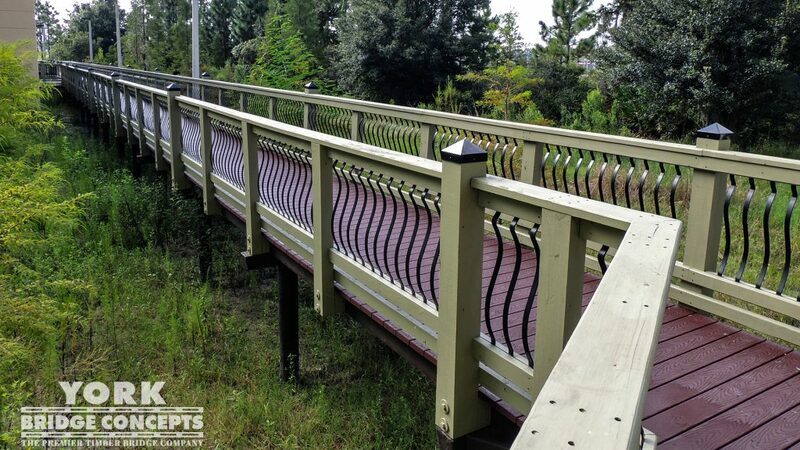 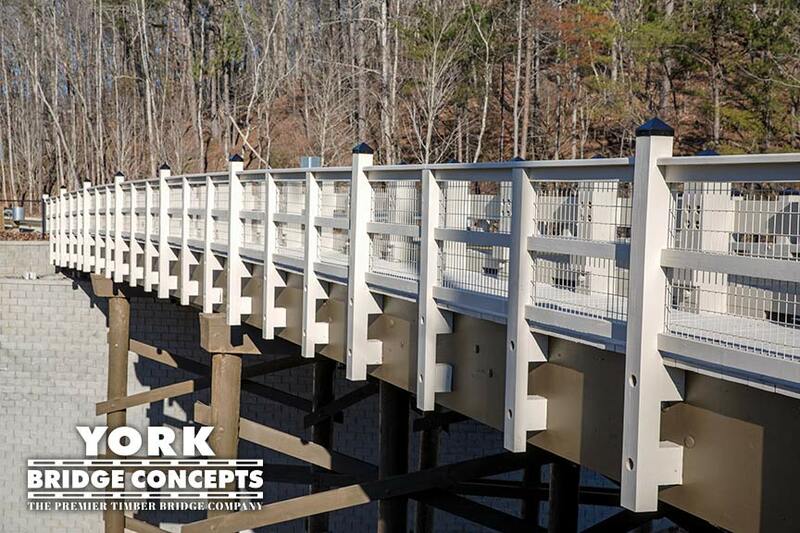 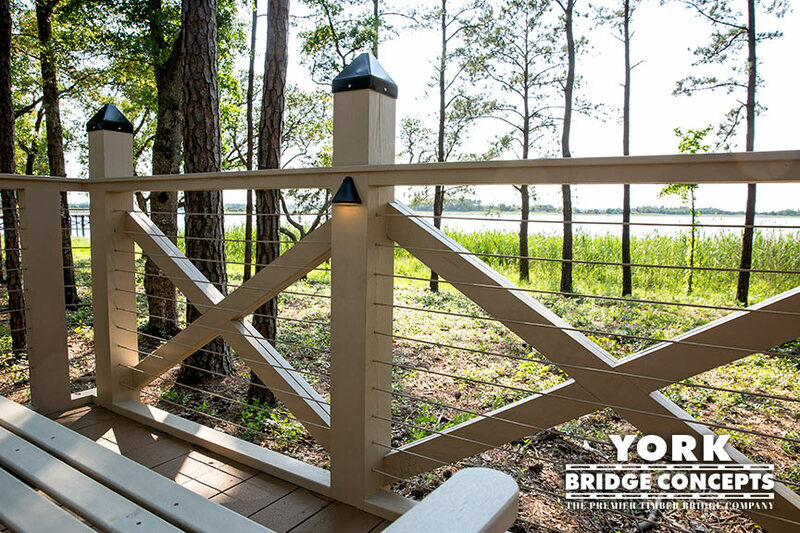 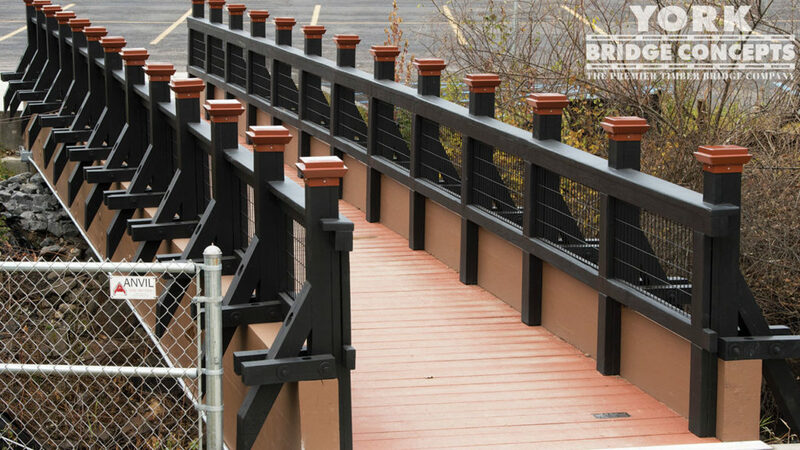 The design features sleek golden composite rails and wear decking with a crisp black metal picket rail. 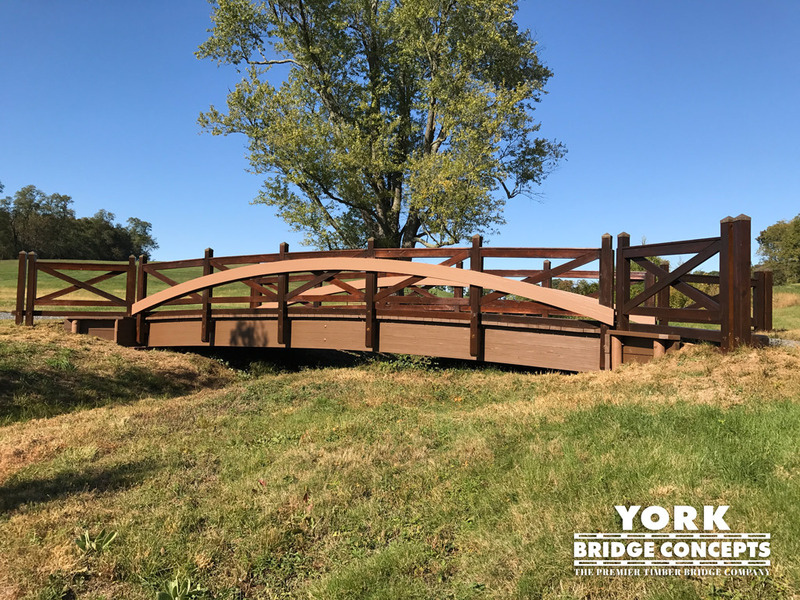 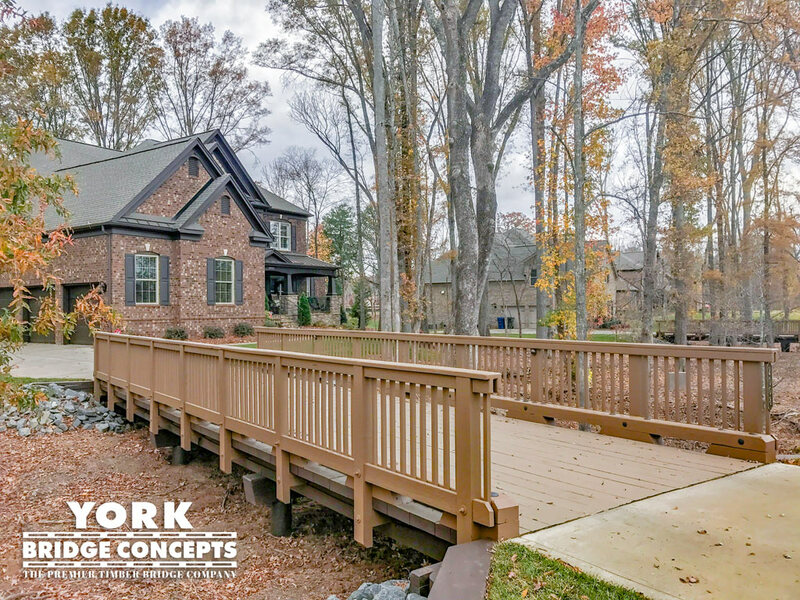 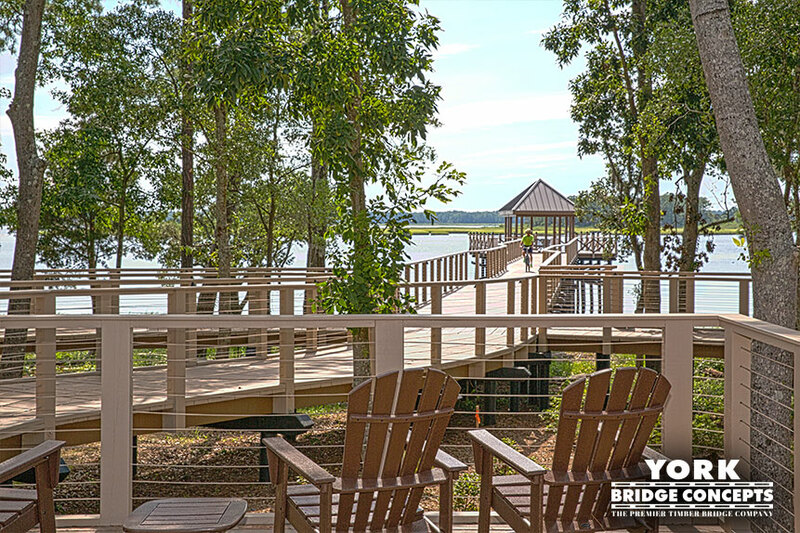 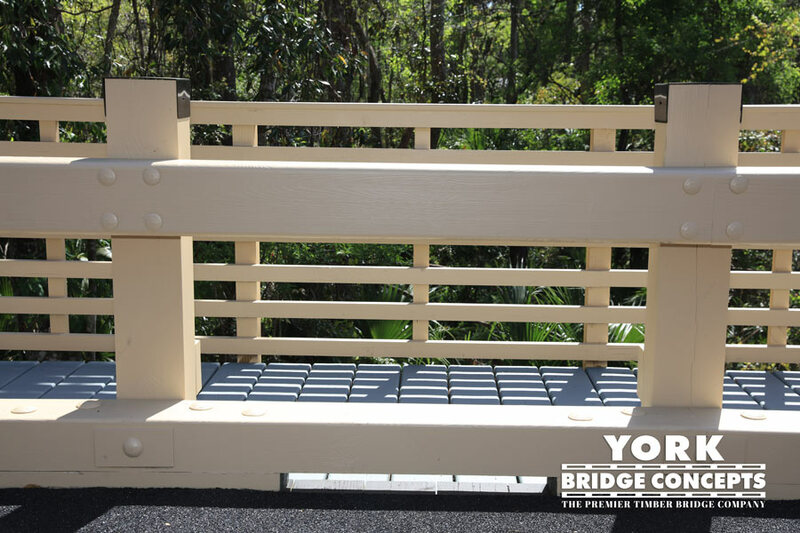 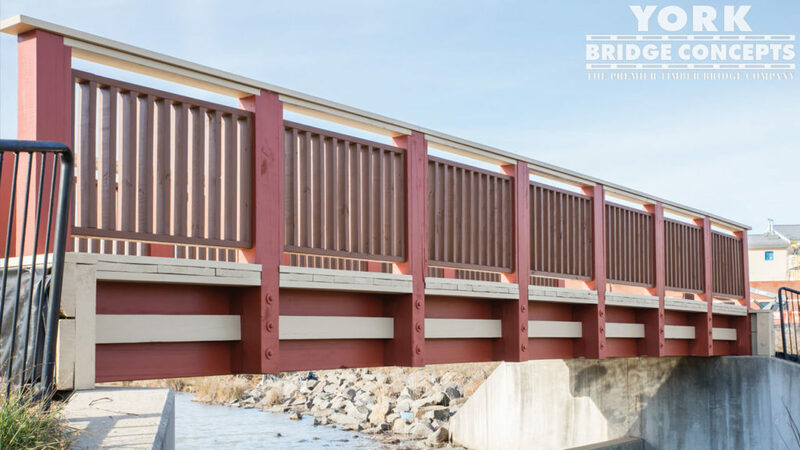 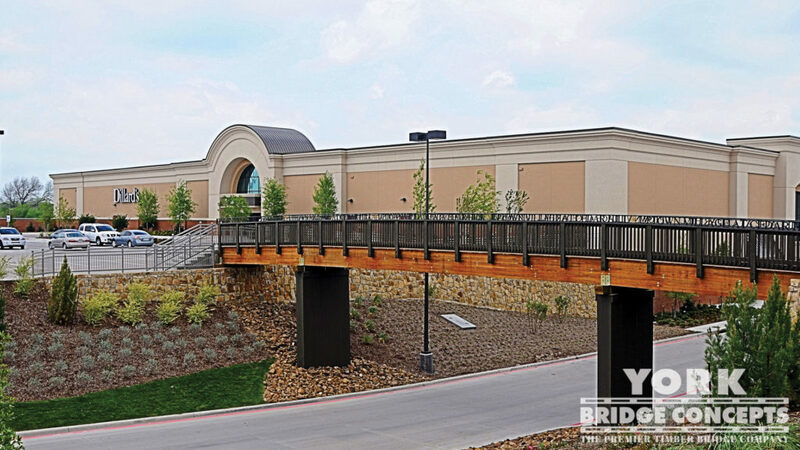 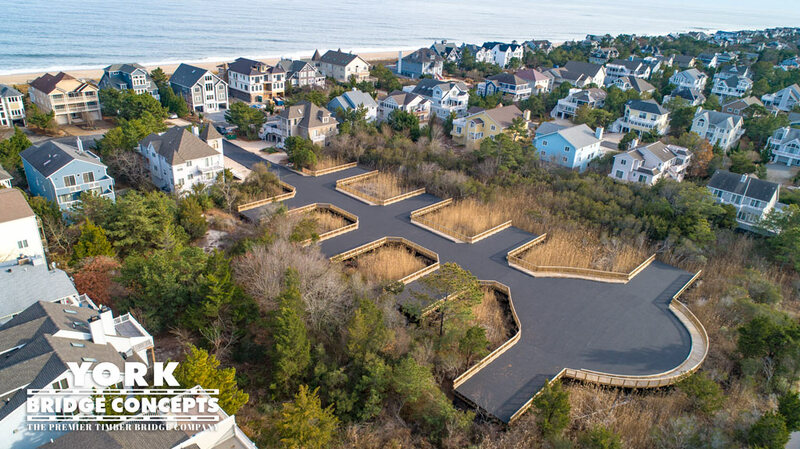 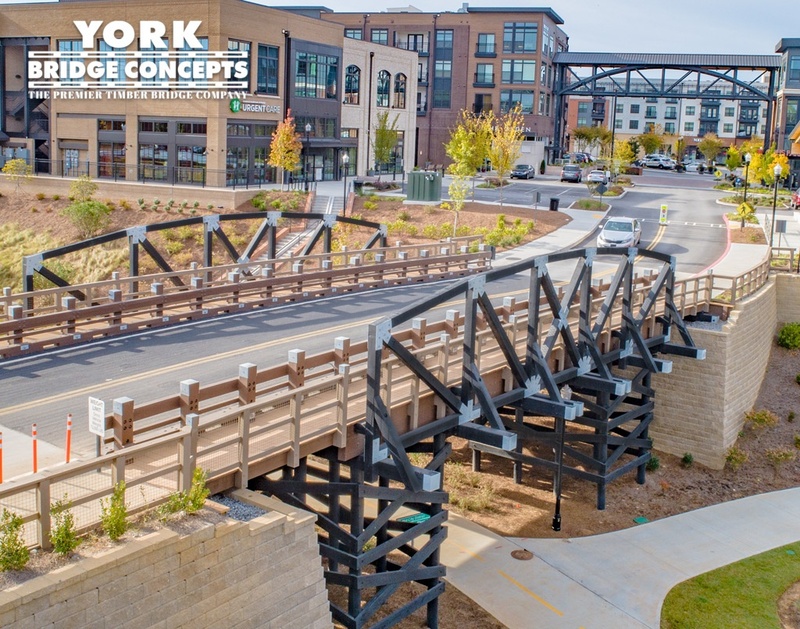 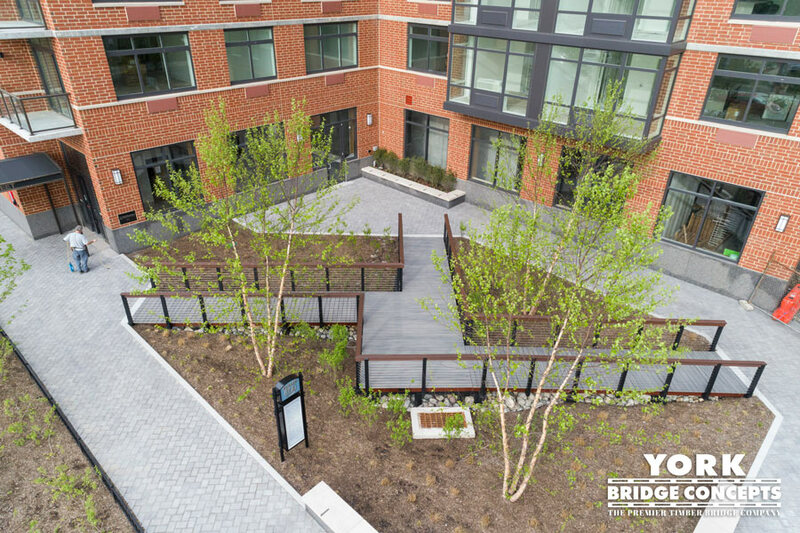 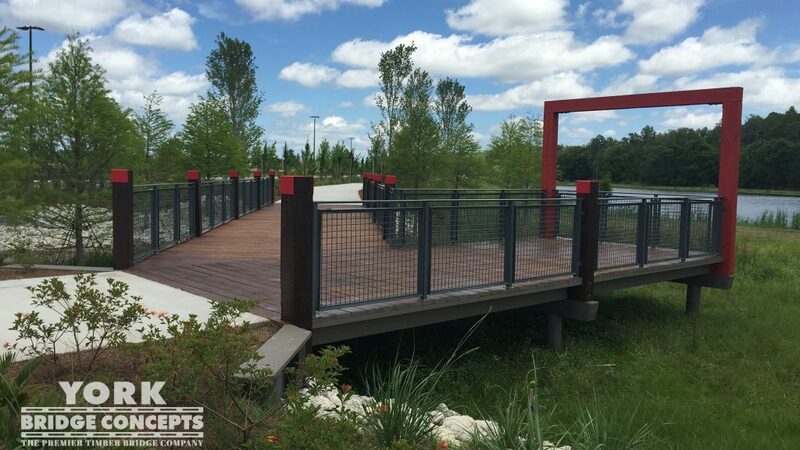 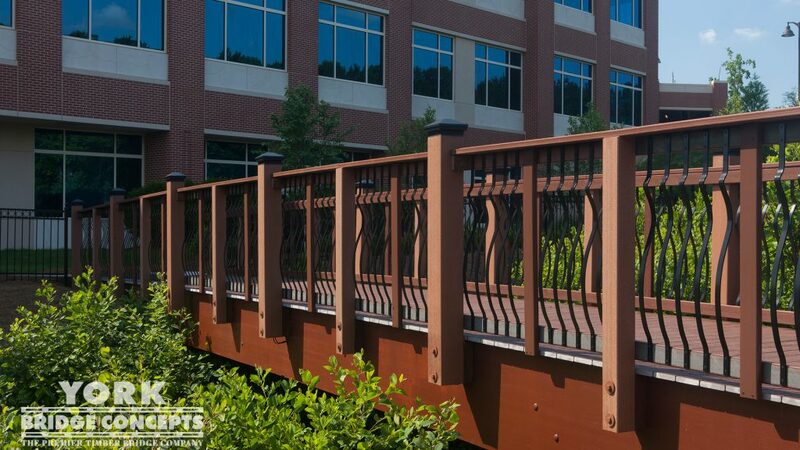 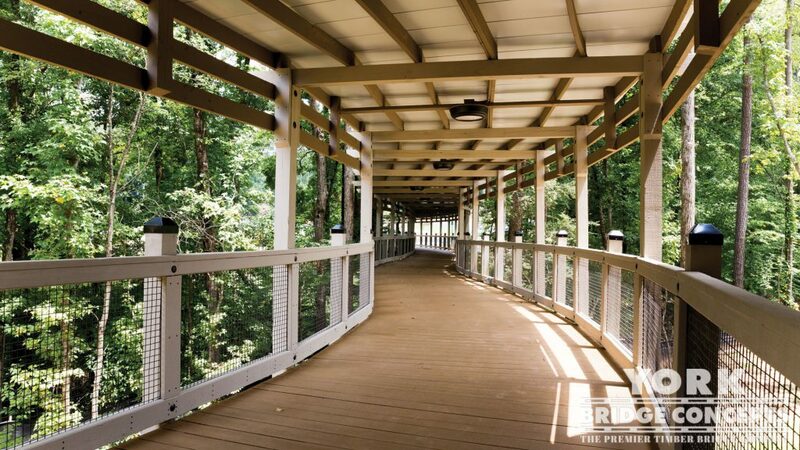 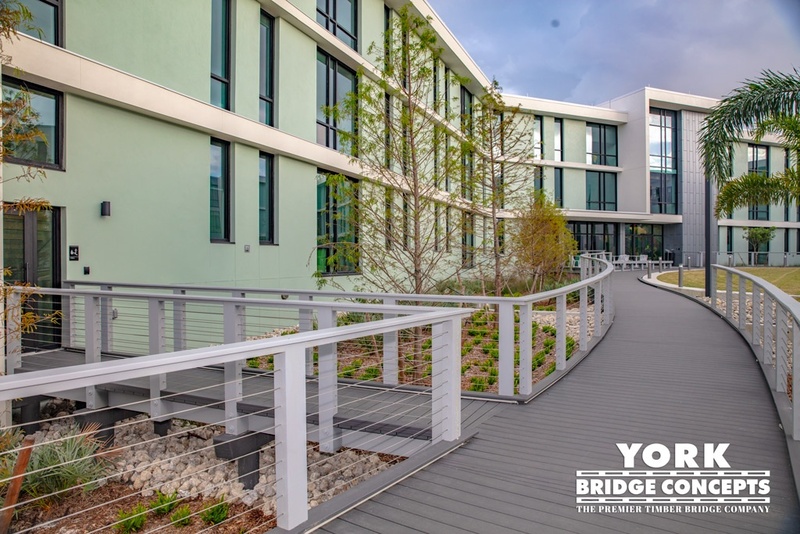 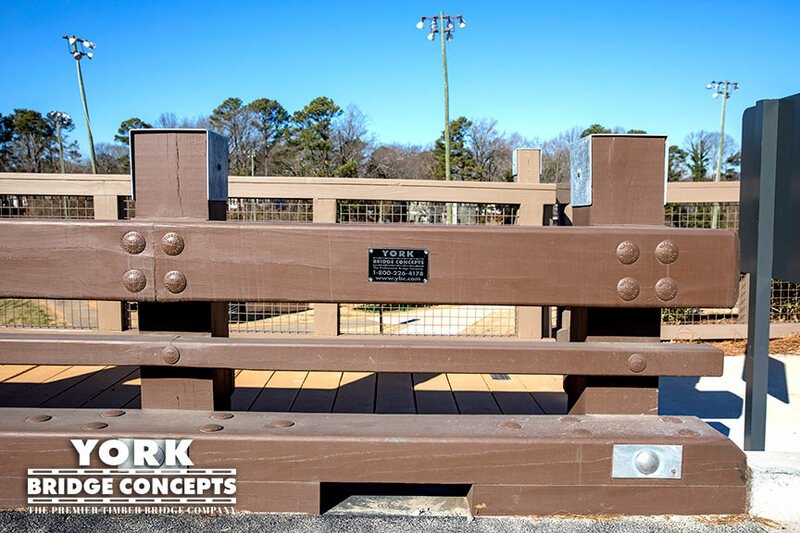 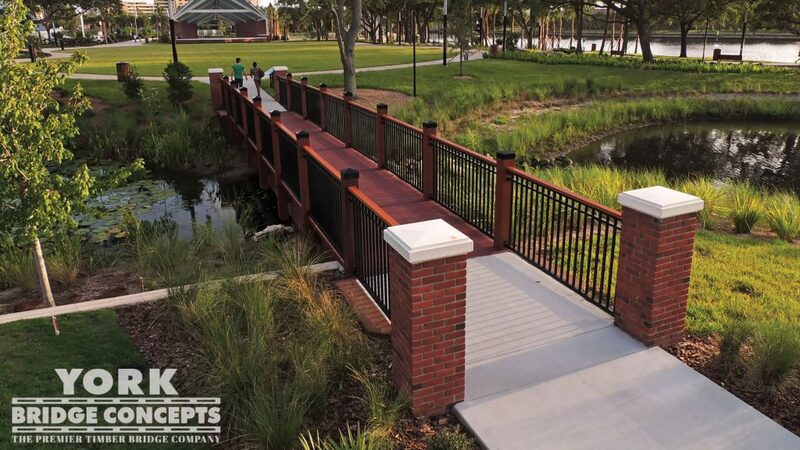 A complementary color palette of a warm brown and deep carbon York Timber Protective Systems™ were selected to complete the look. 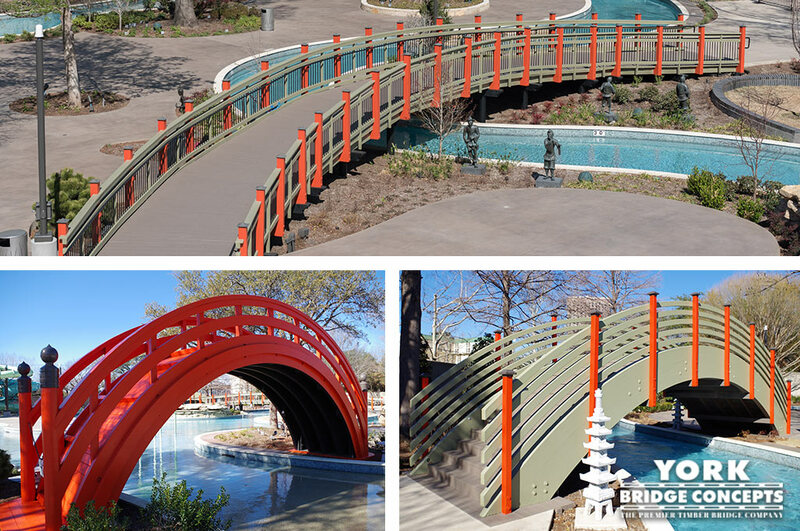 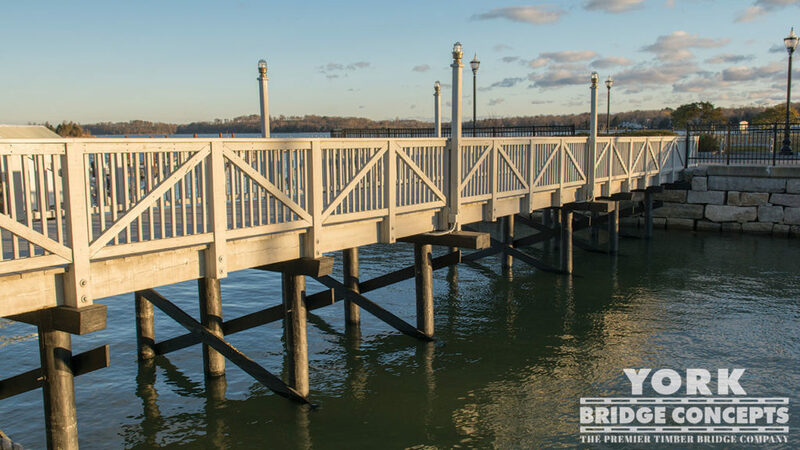 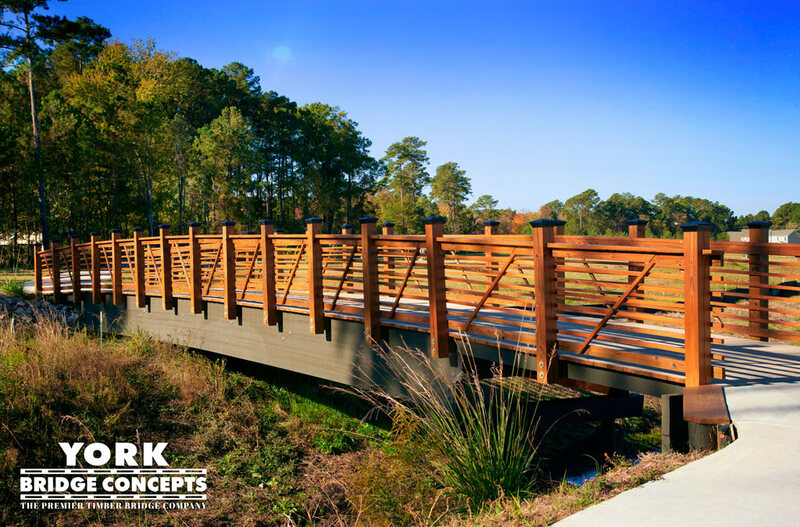 The design’s simple elegance makes these bridges suitable landmarks for the prestigious club, without the fuss of high maintenance. 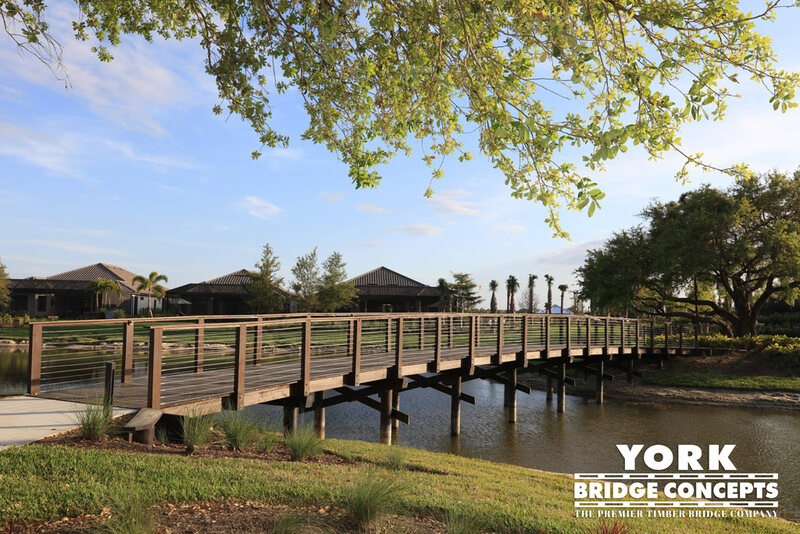 "We learned about YBC through a club member. 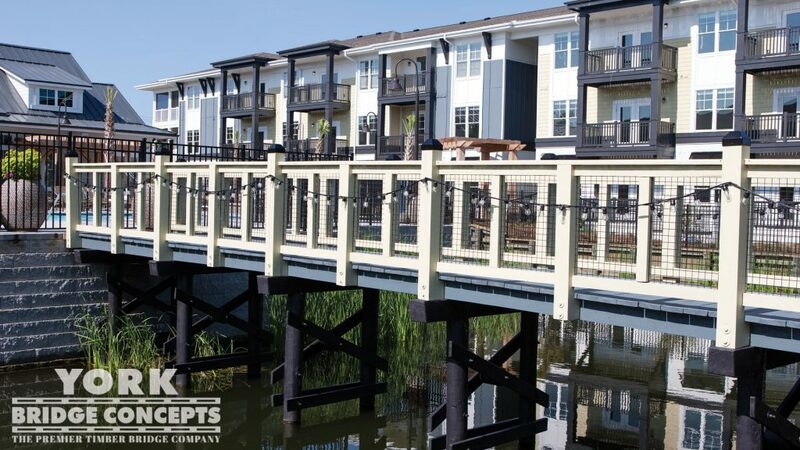 They have an outstanding reputation and we were impressed with the excellent value presented in the initial sales process, which was ultimately delivered on. 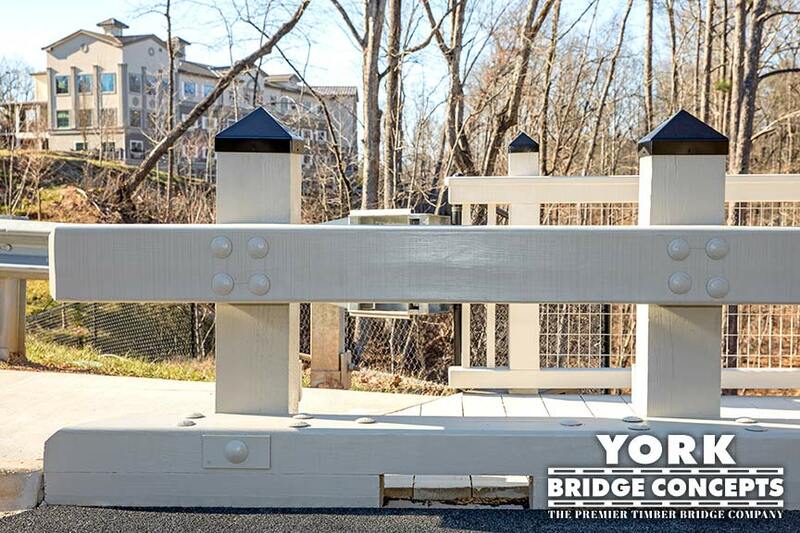 The YBC team was very detailed-oriented and efficient. 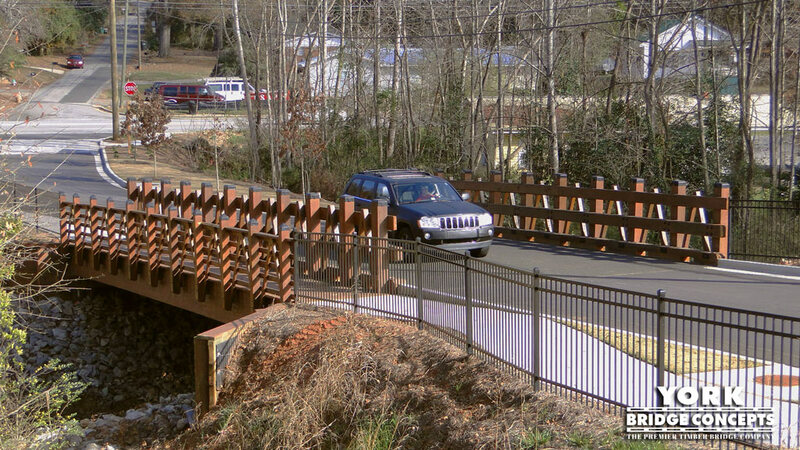 They verified our existing engineering and improved upon it. 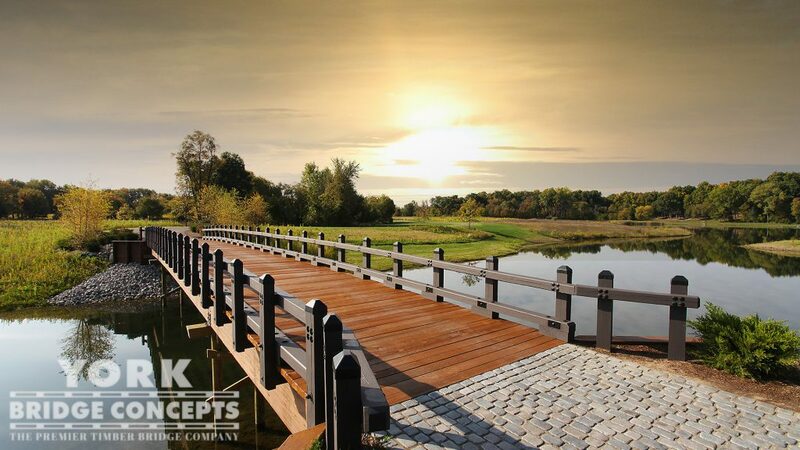 The follow-up was excellent. 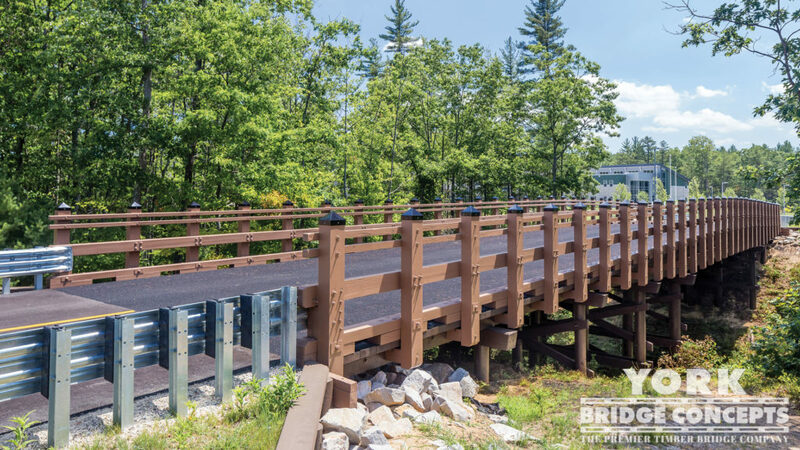 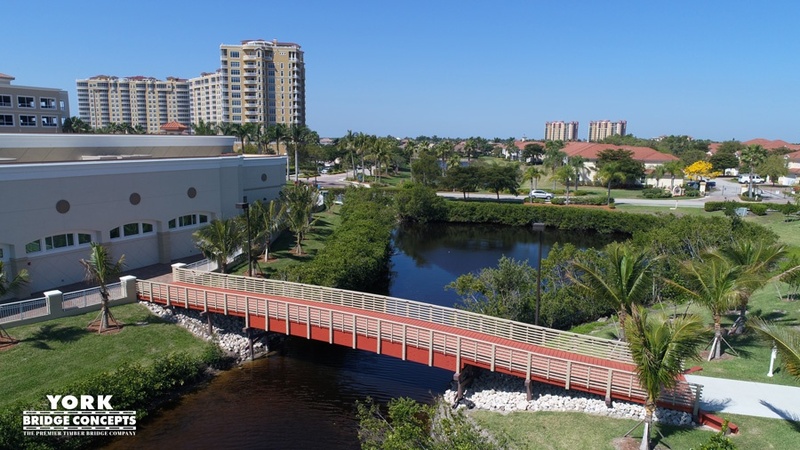 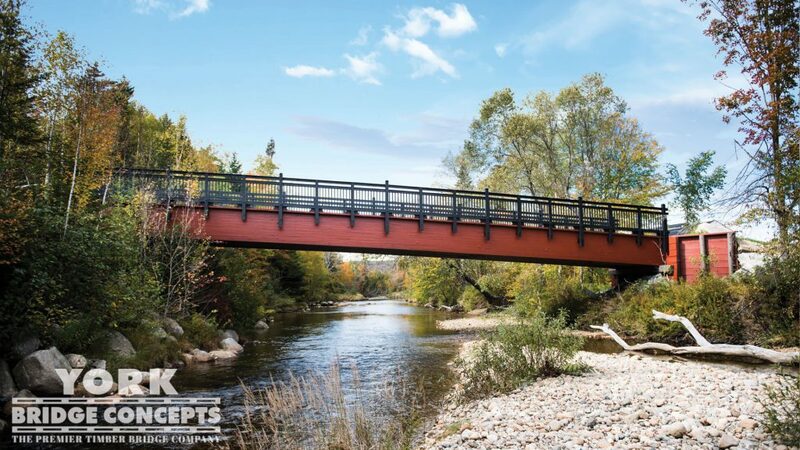 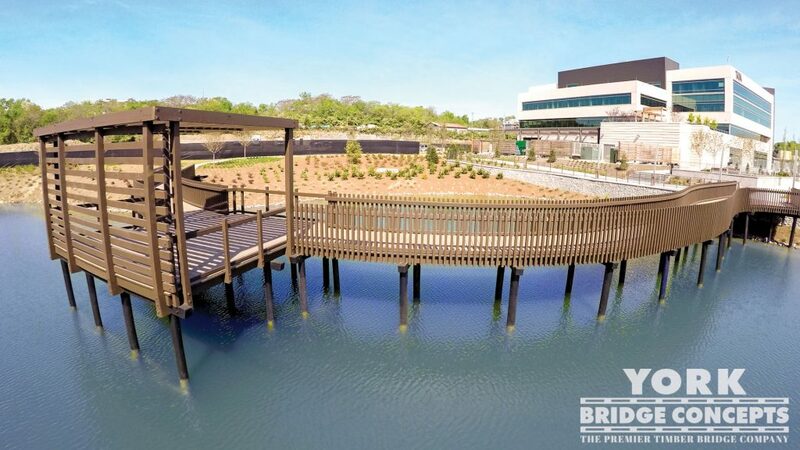 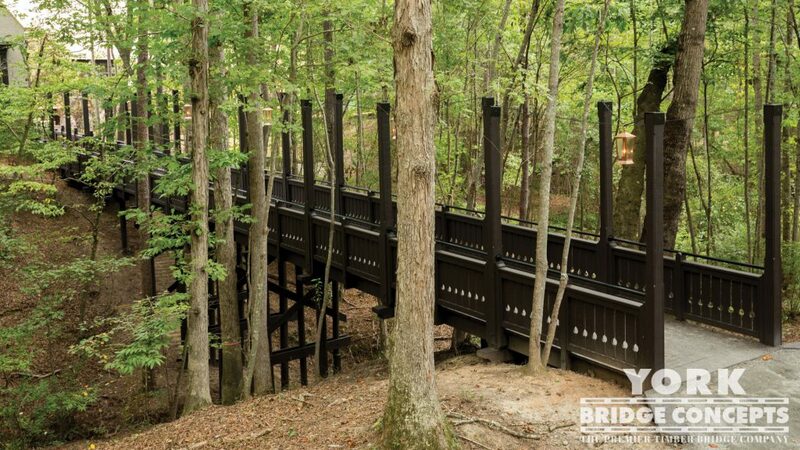 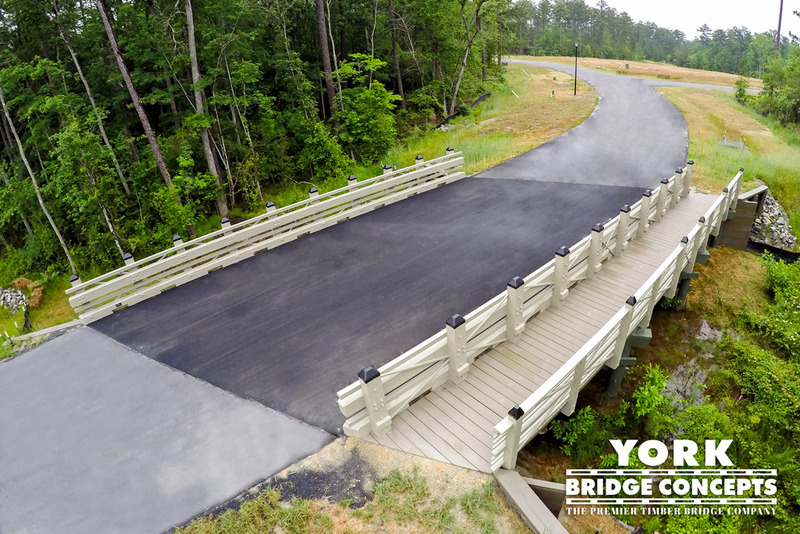 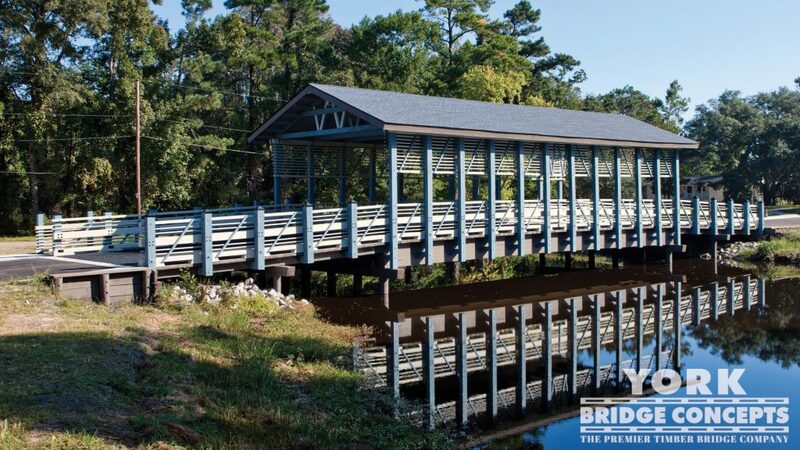 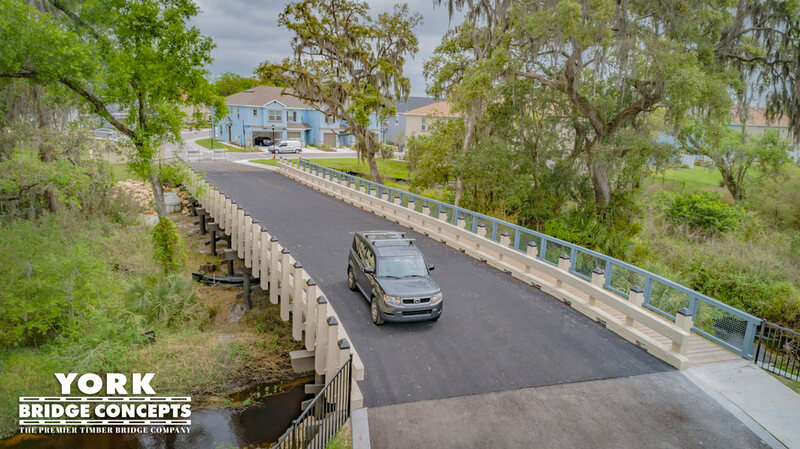 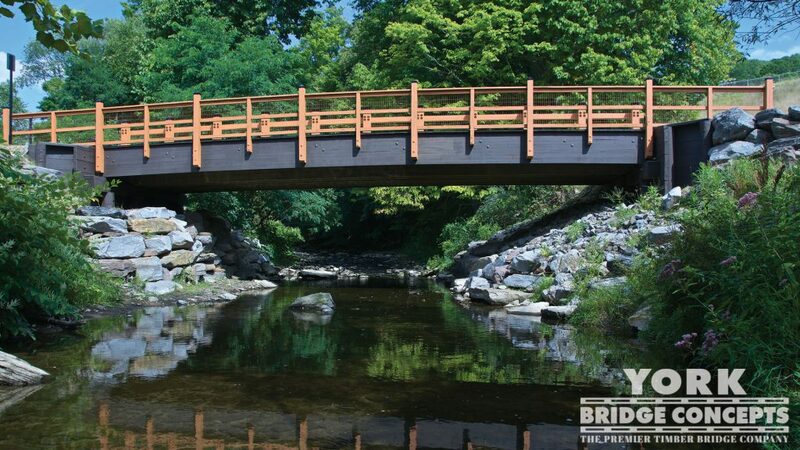 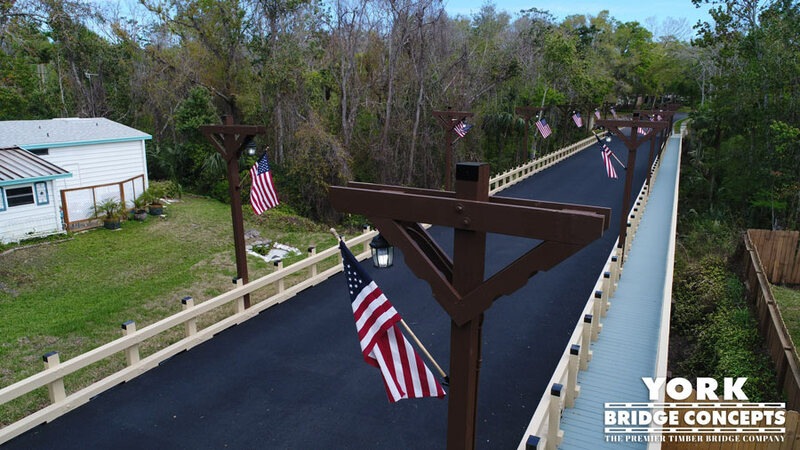 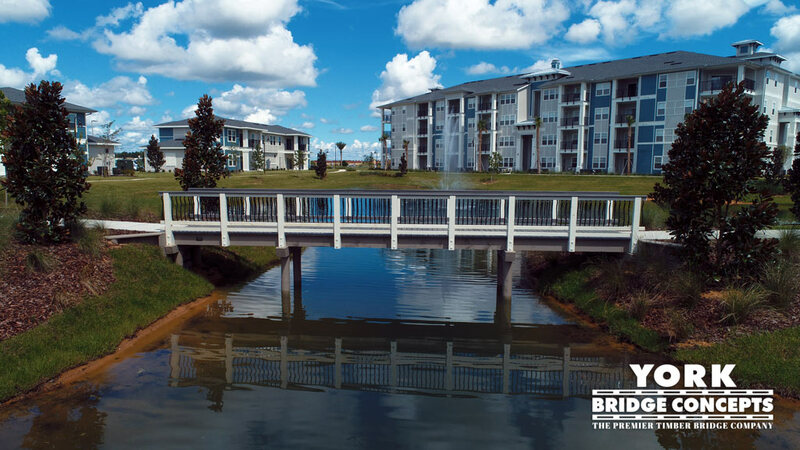 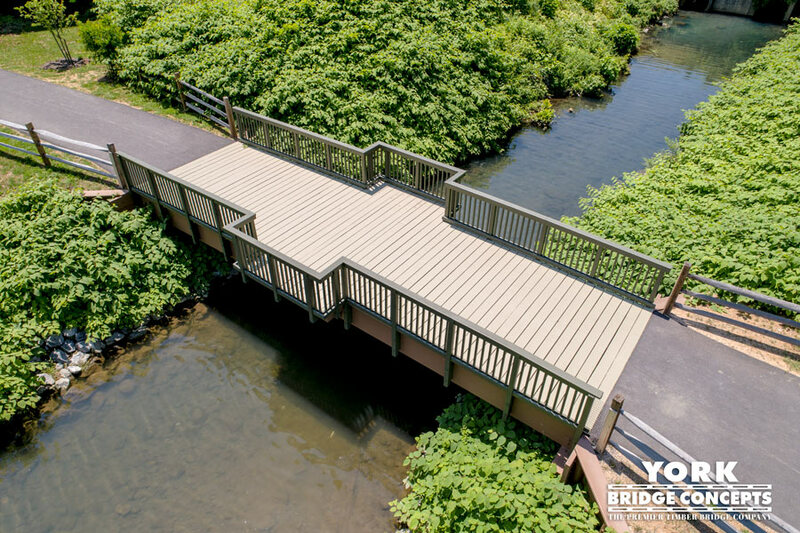 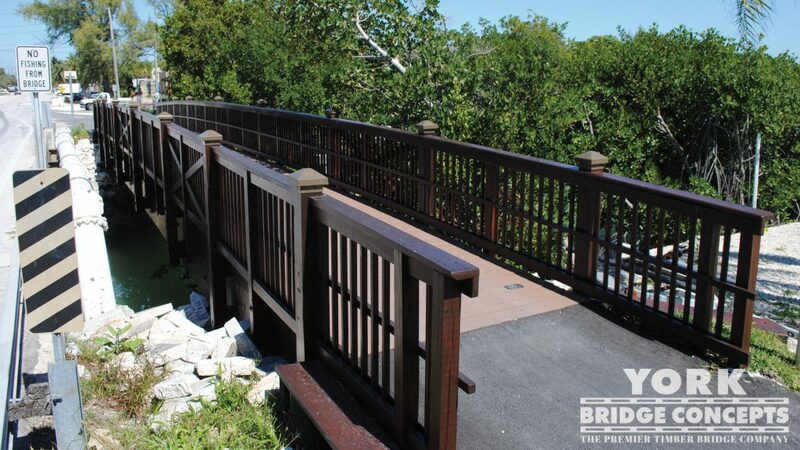 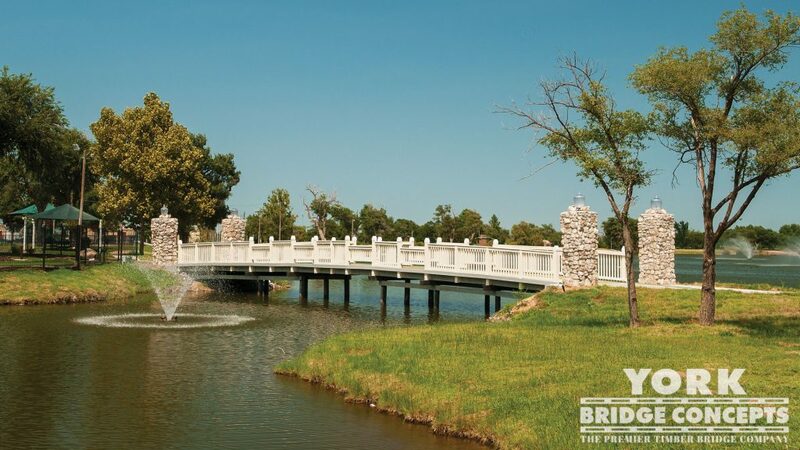 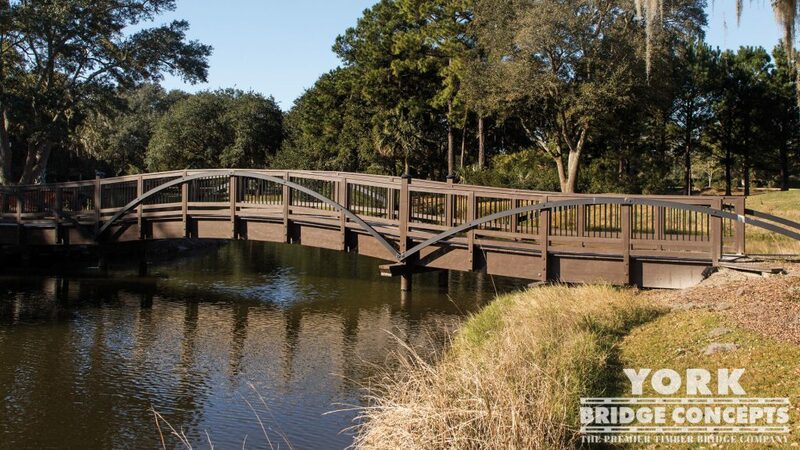 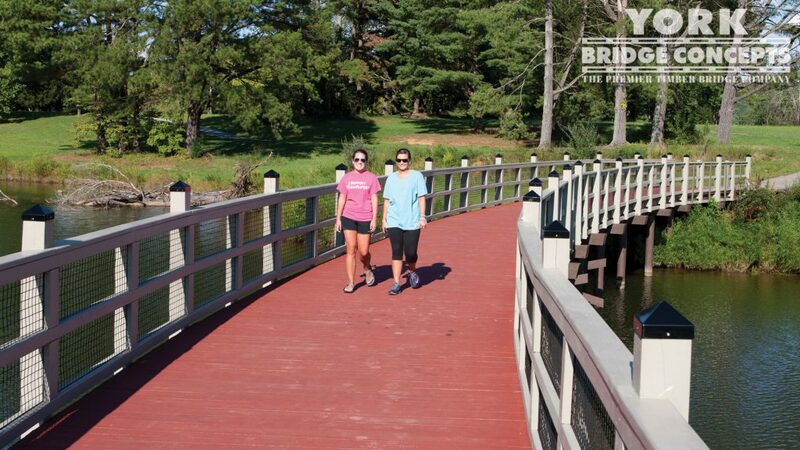 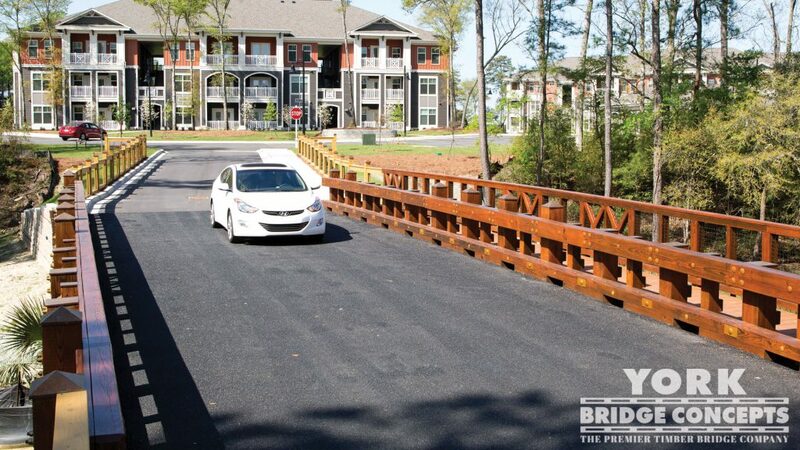 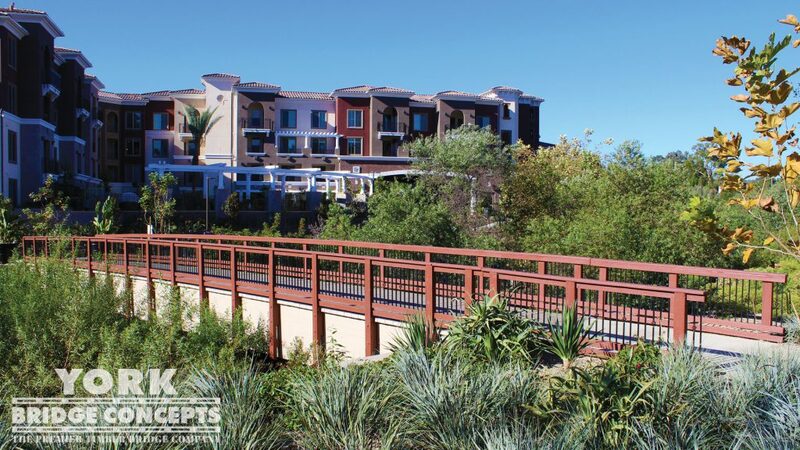 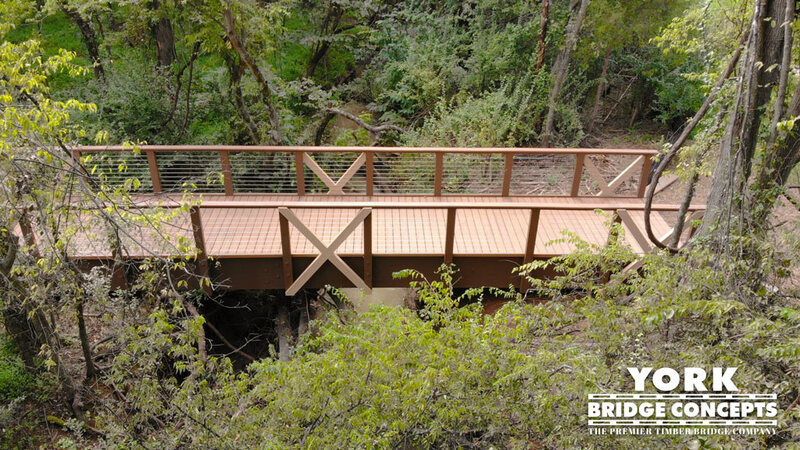 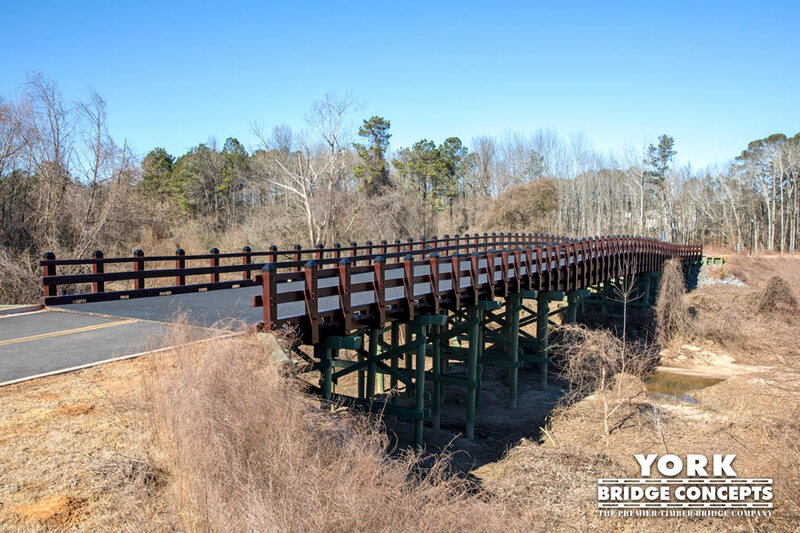 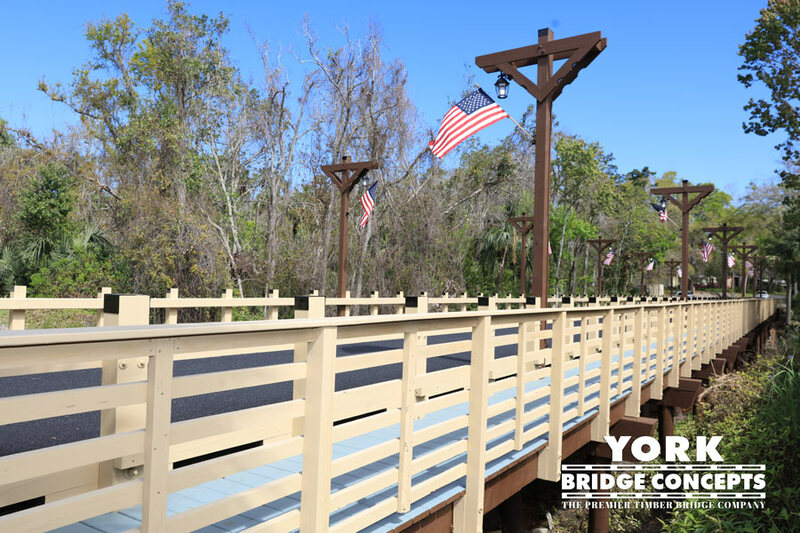 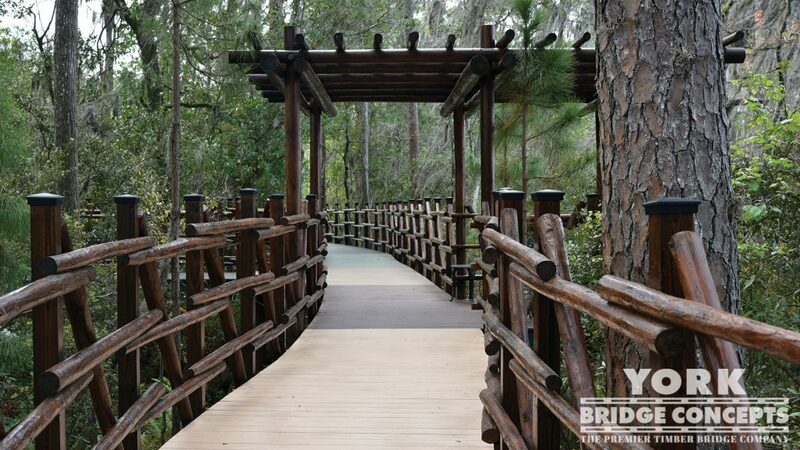 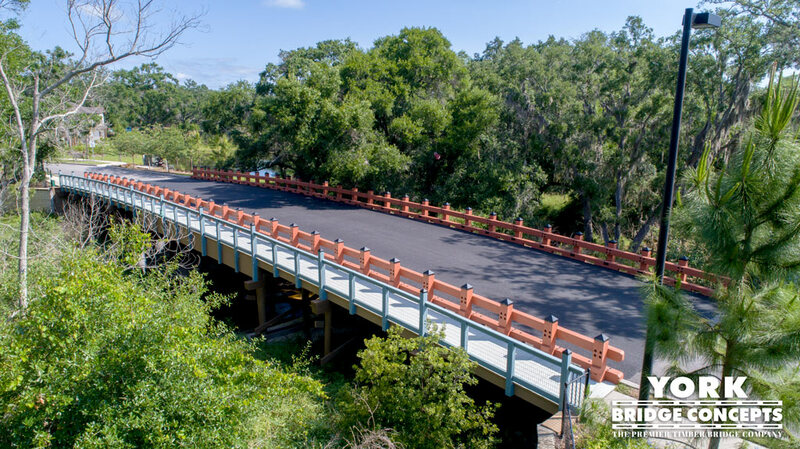 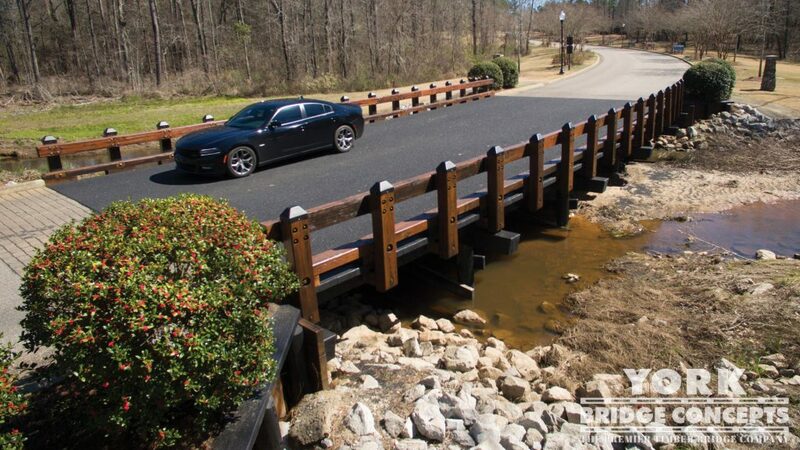 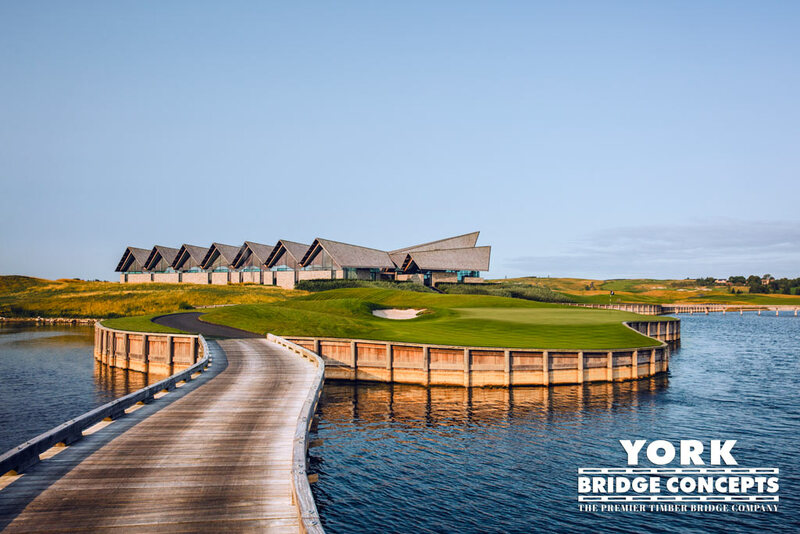 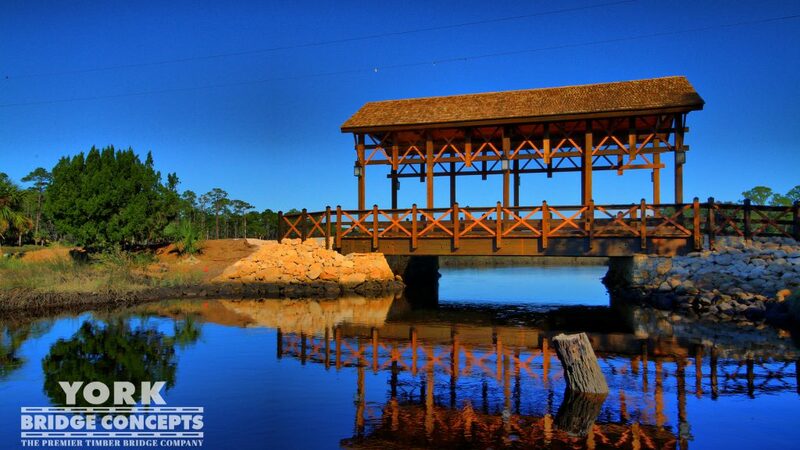 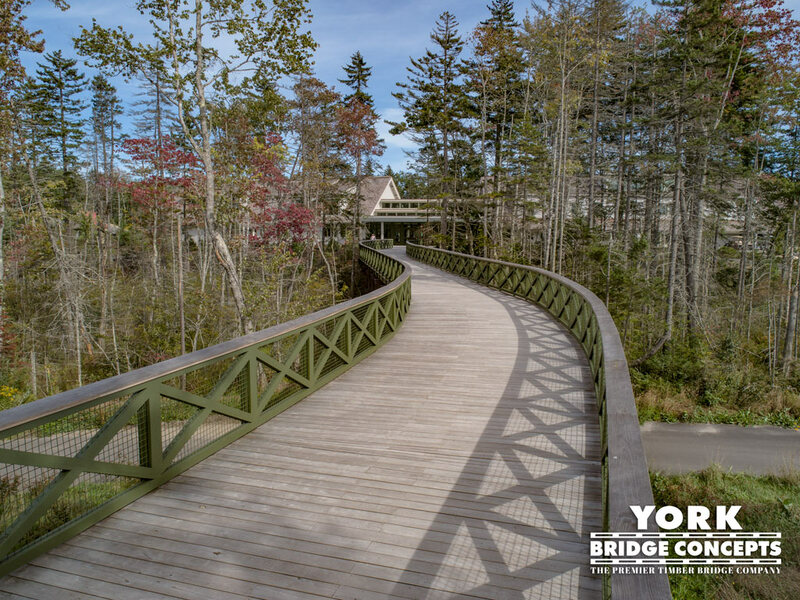 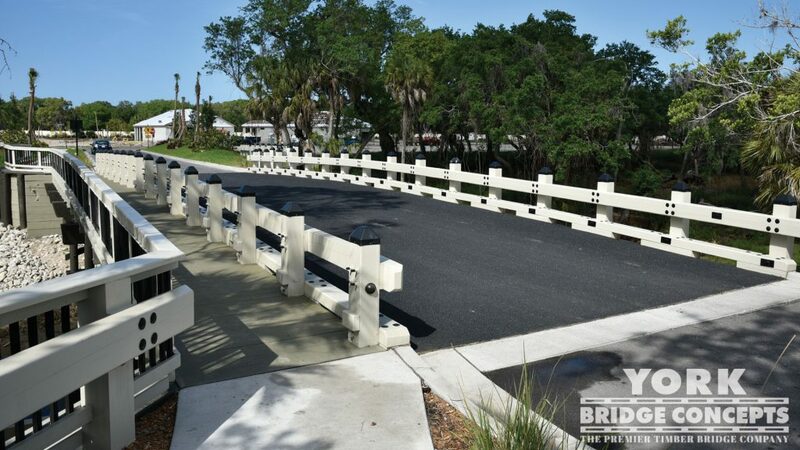 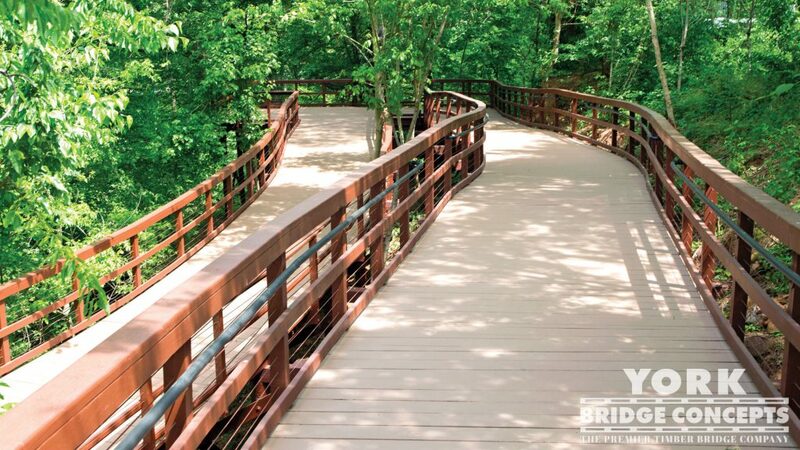 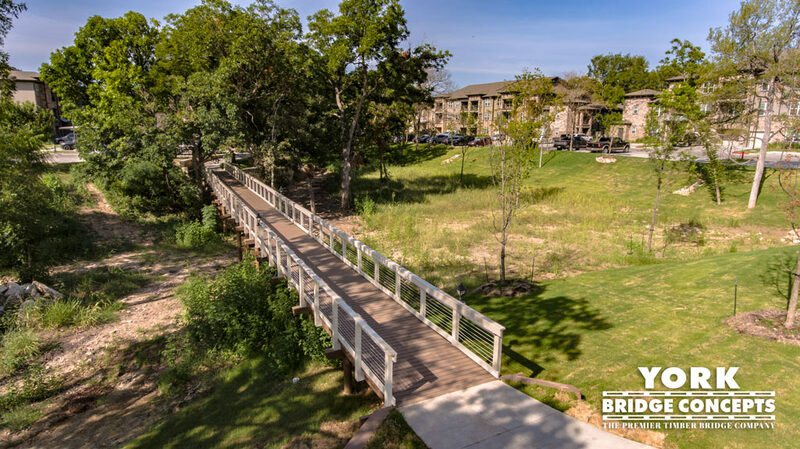 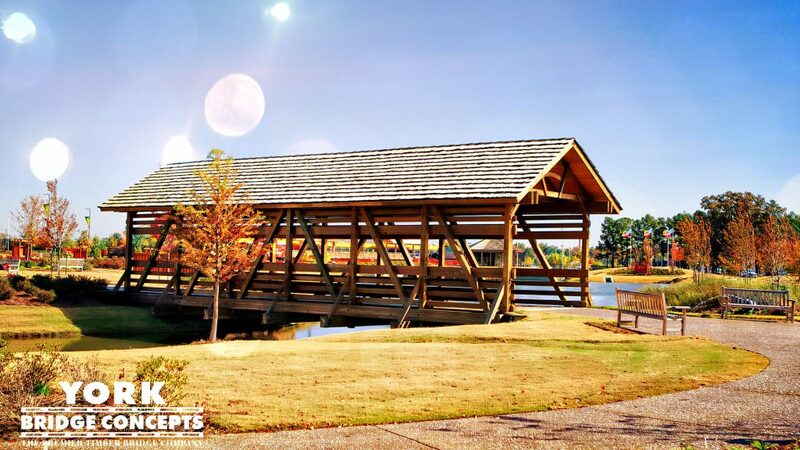 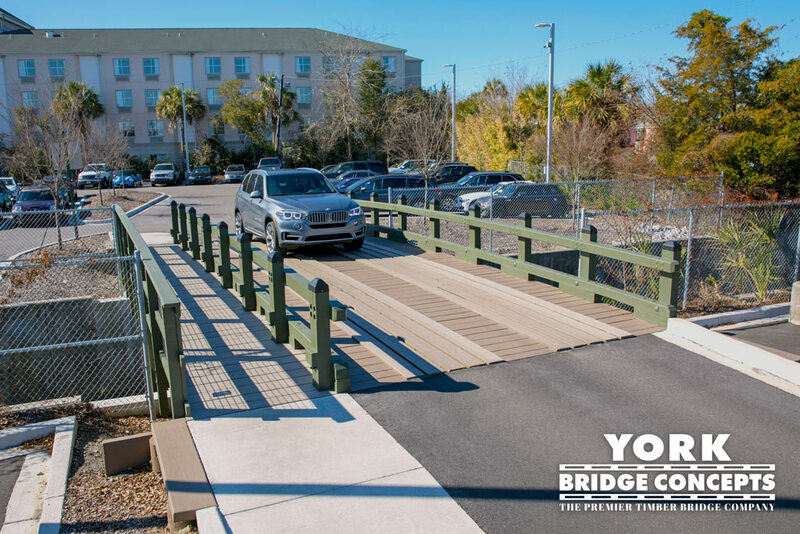 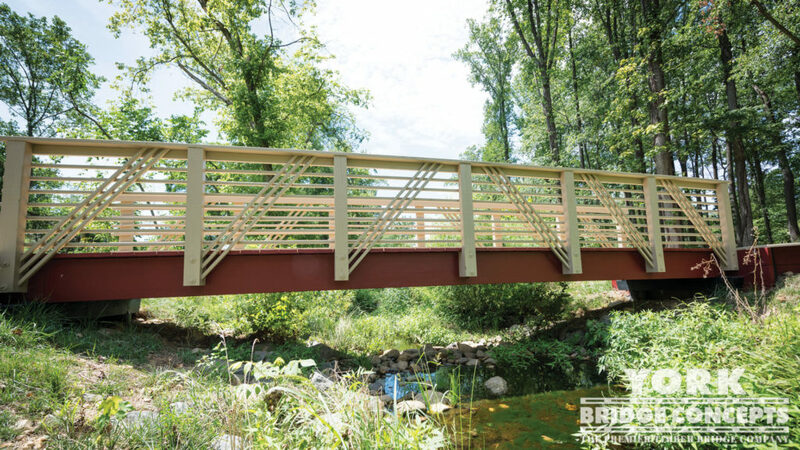 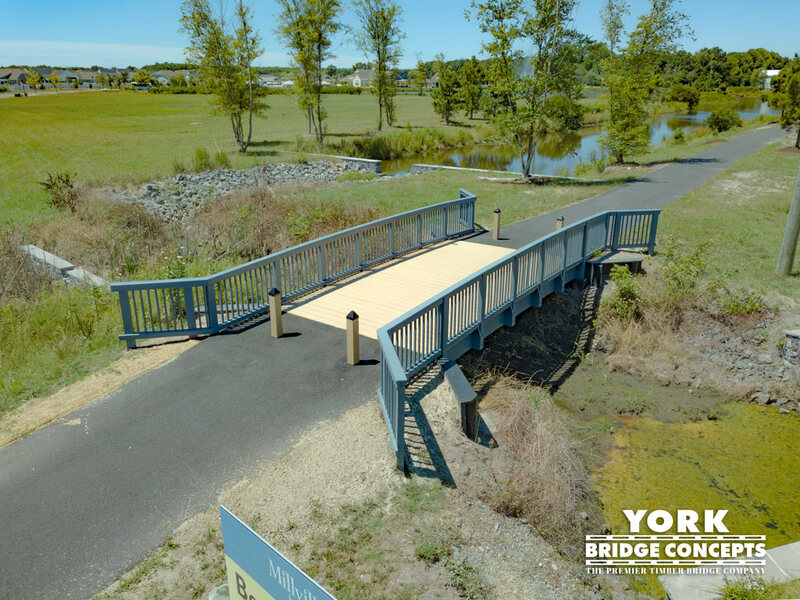 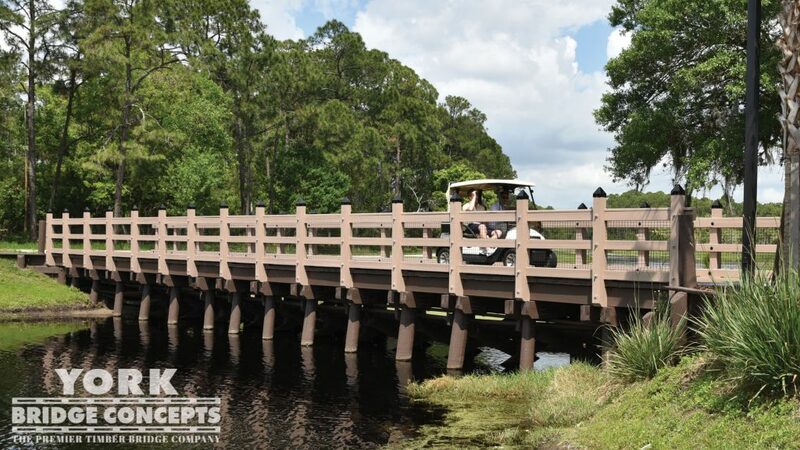 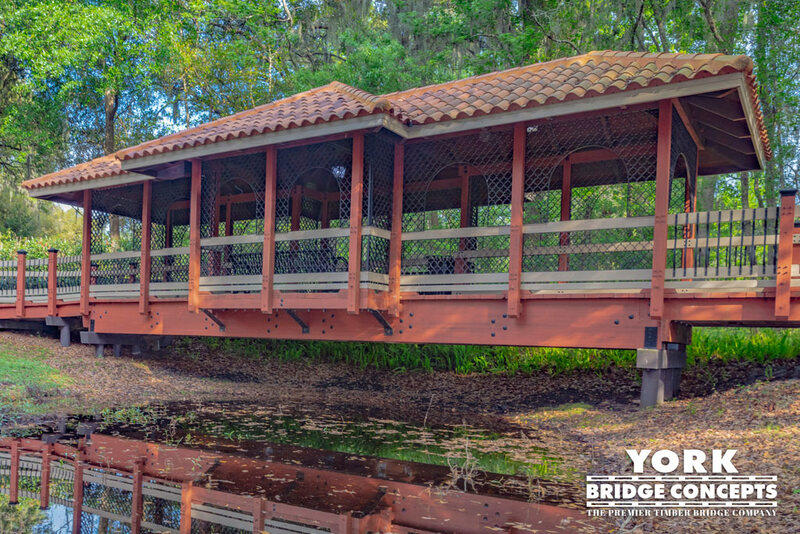 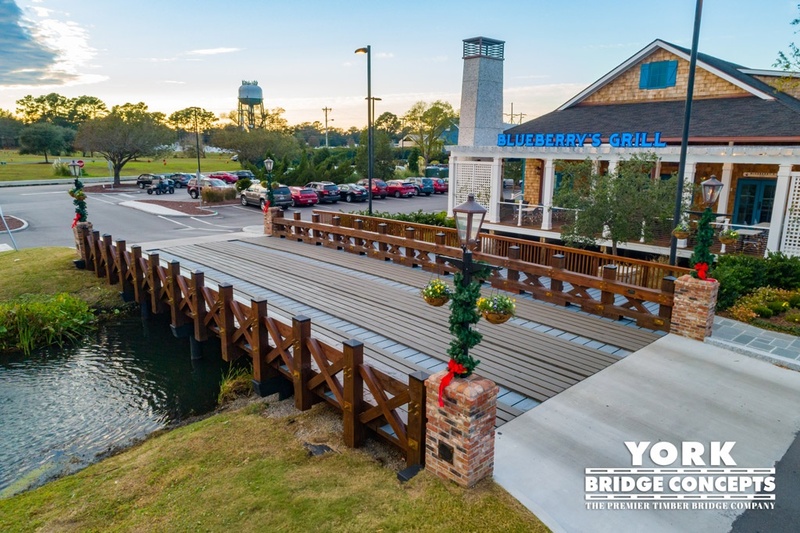 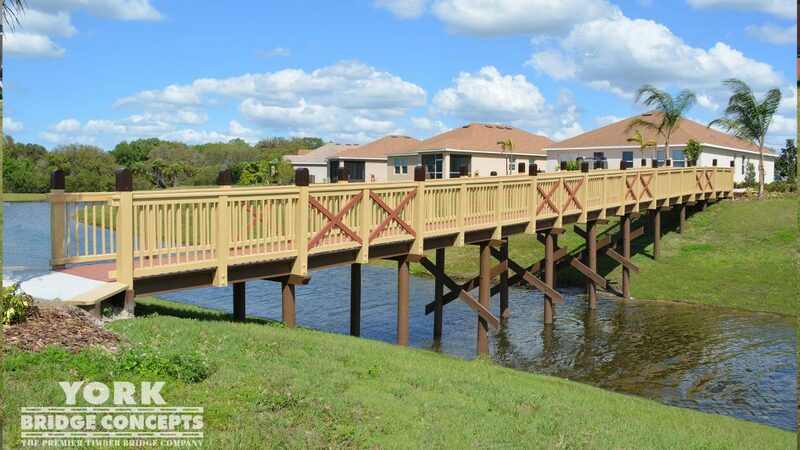 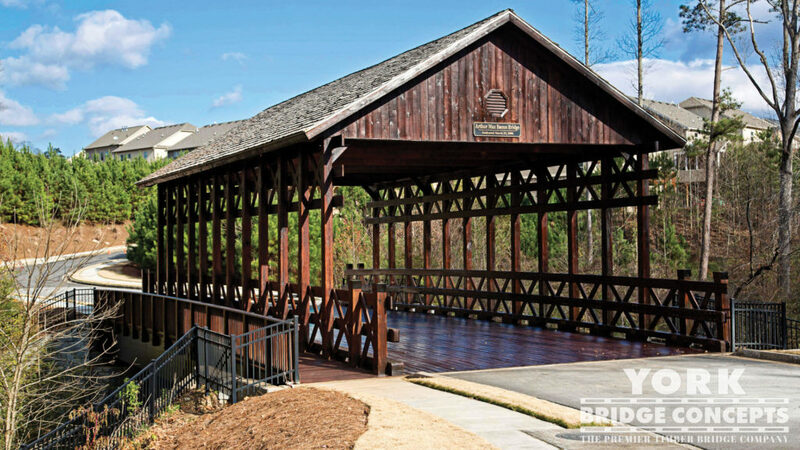 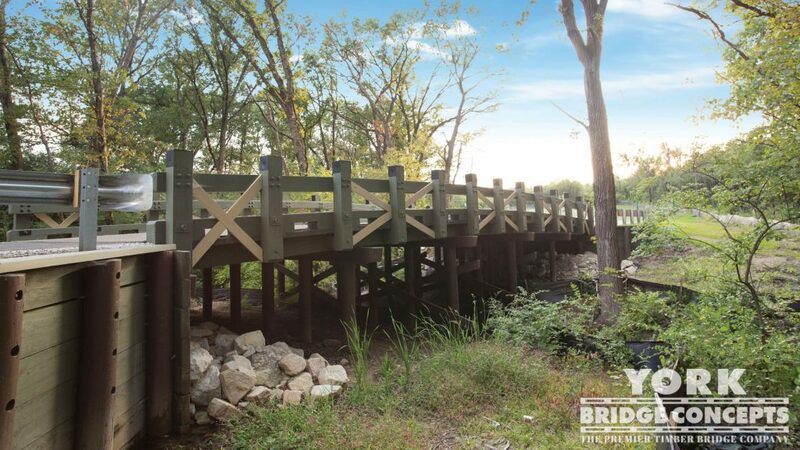 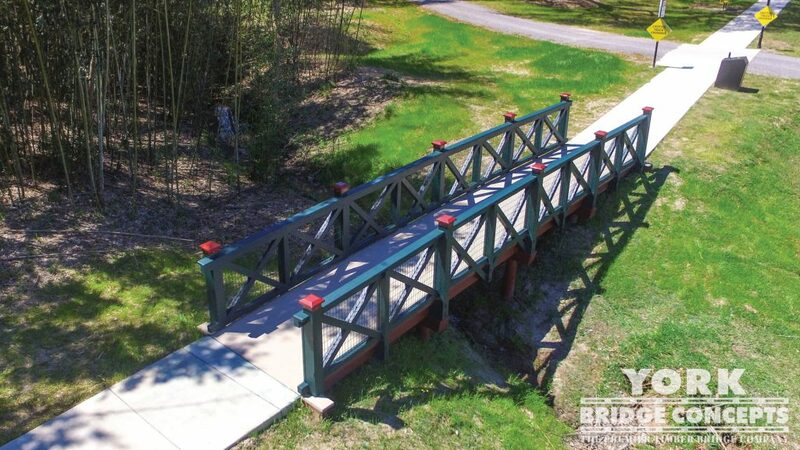 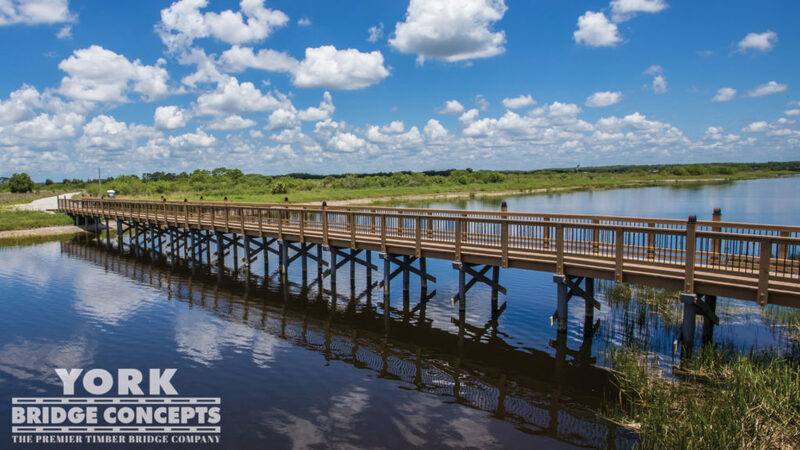 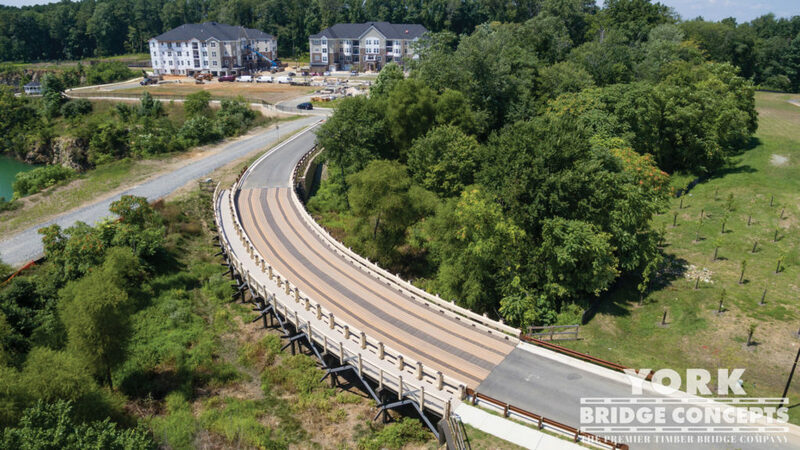 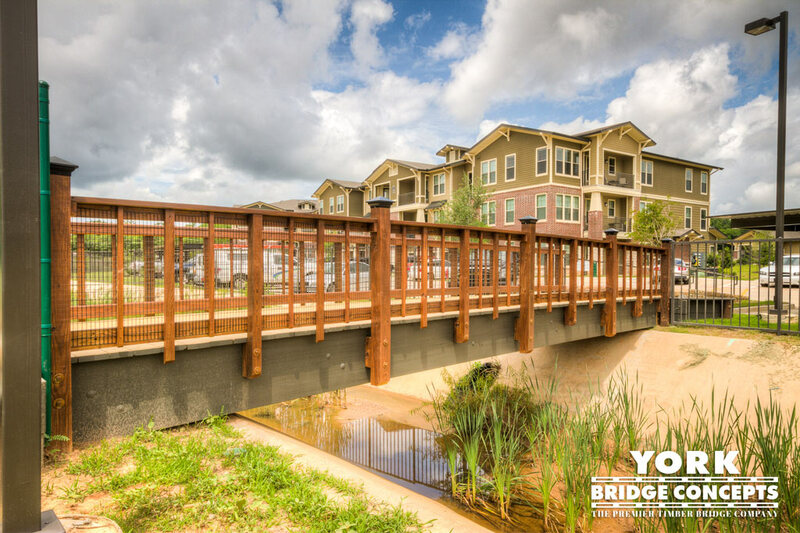 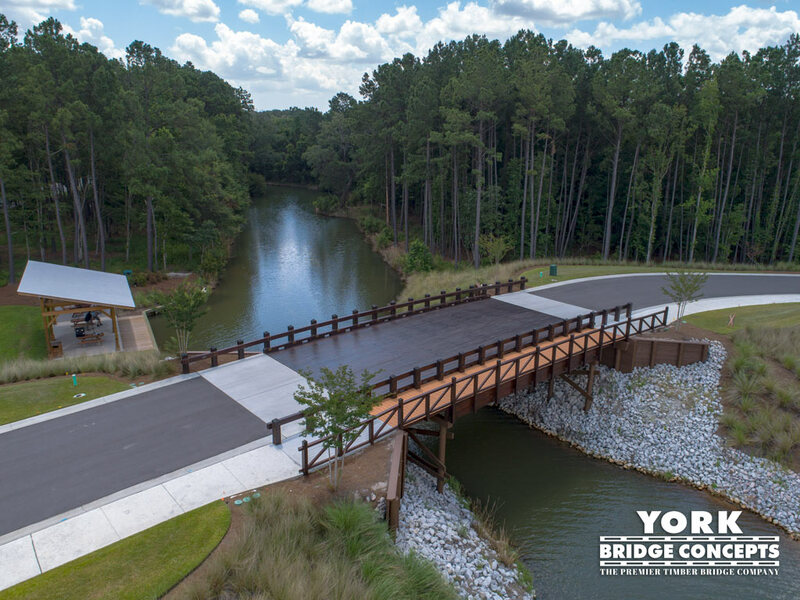 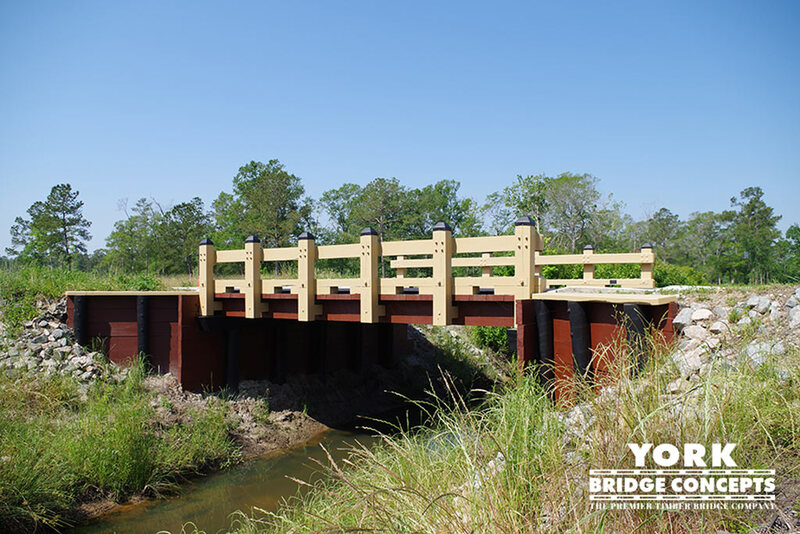 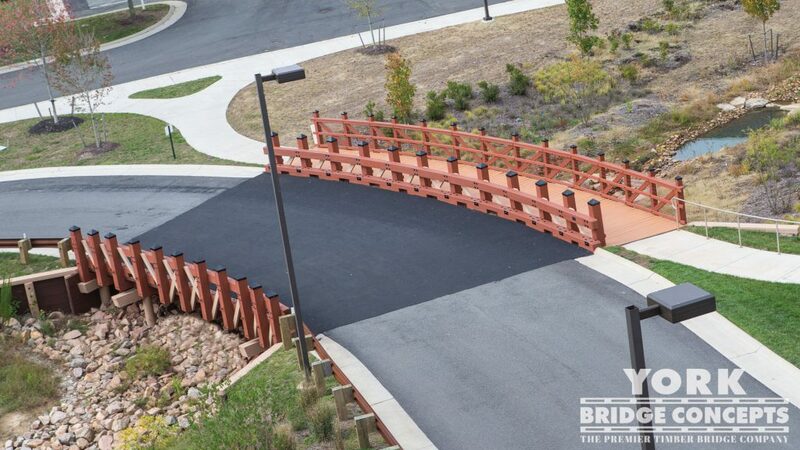 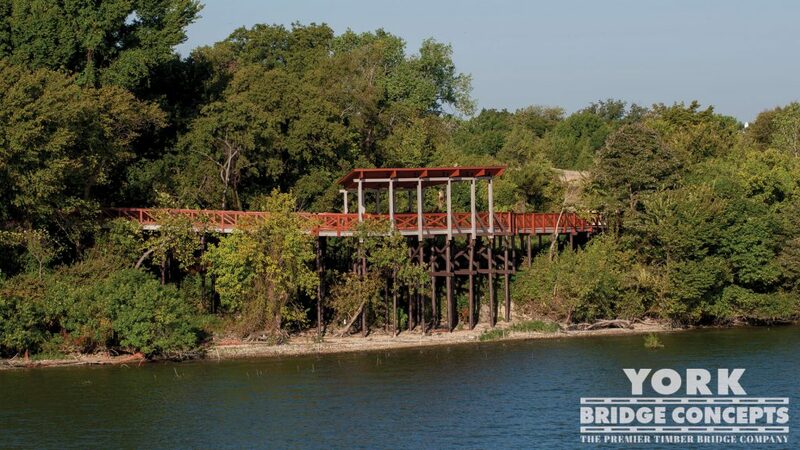 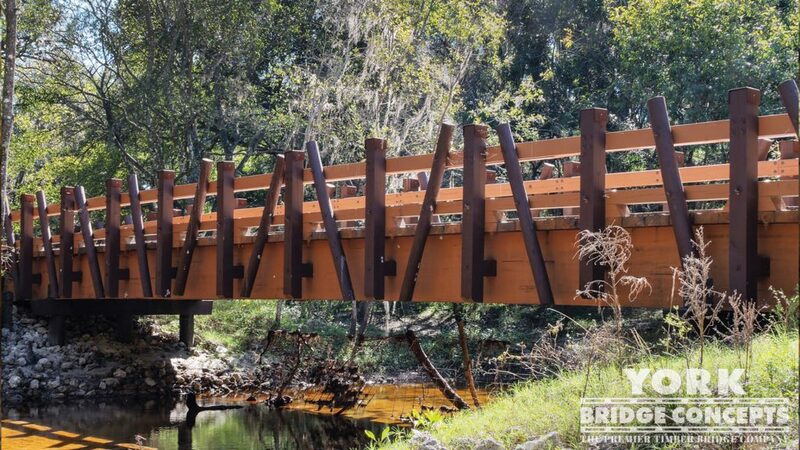 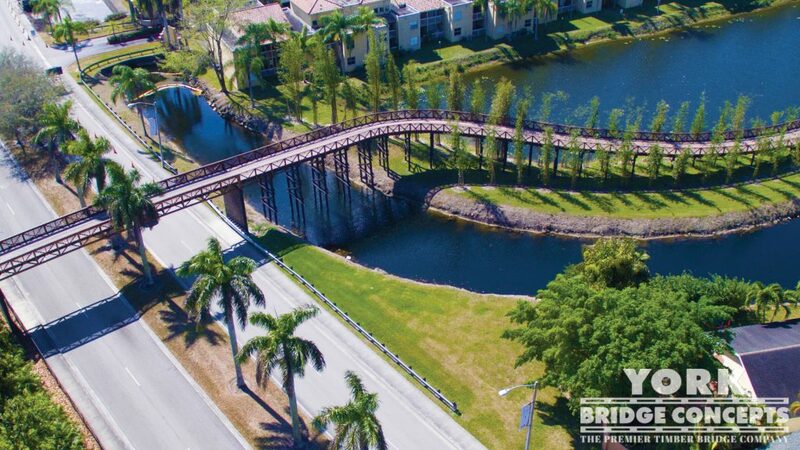 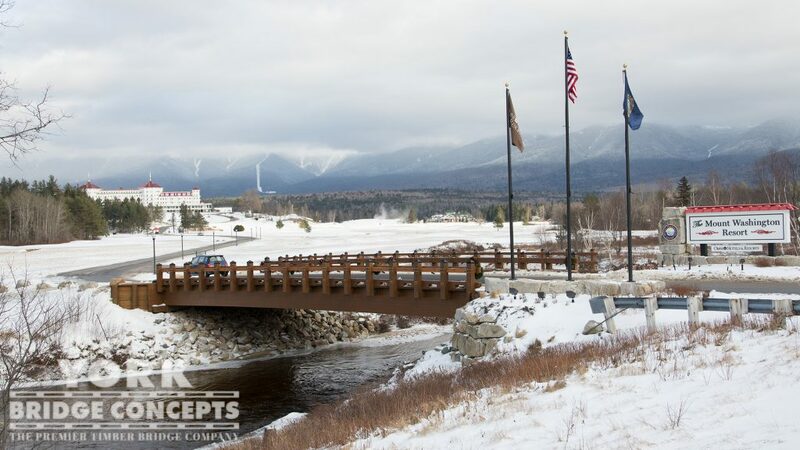 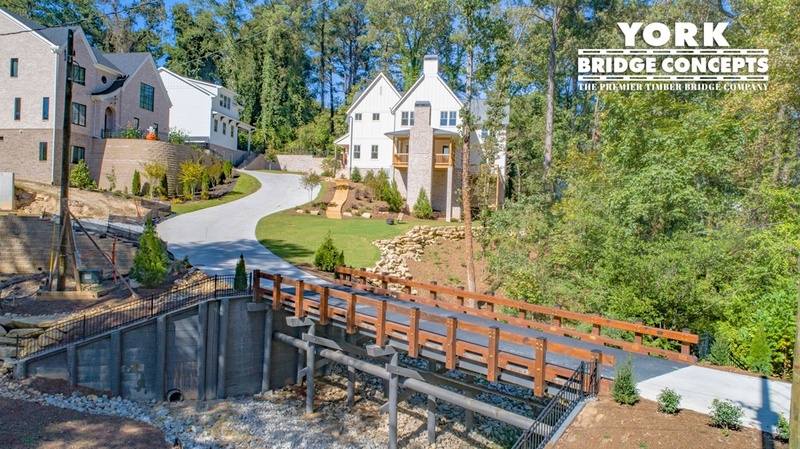 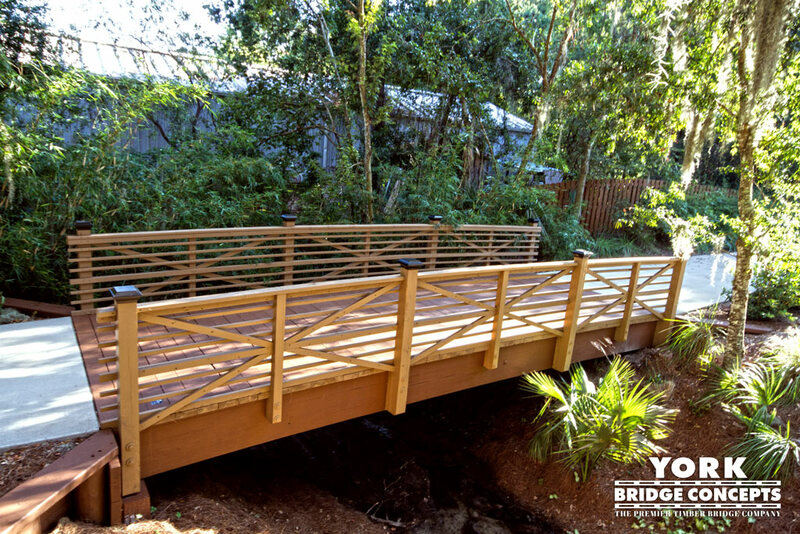 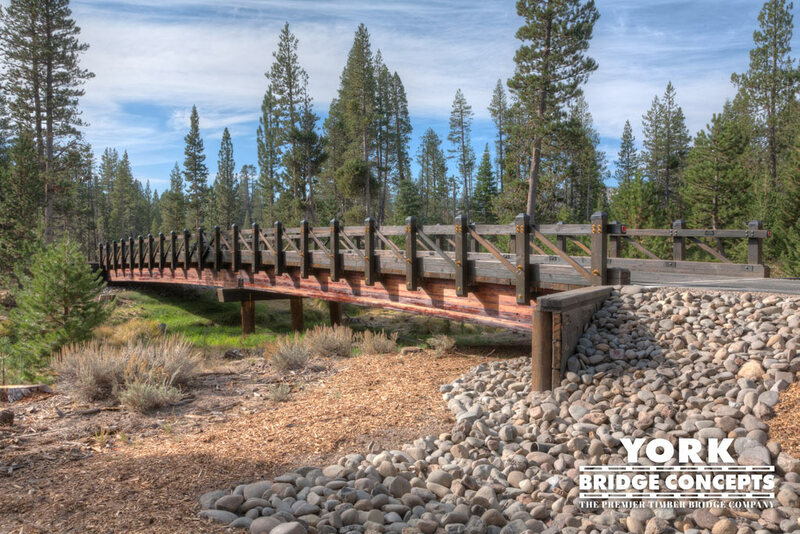 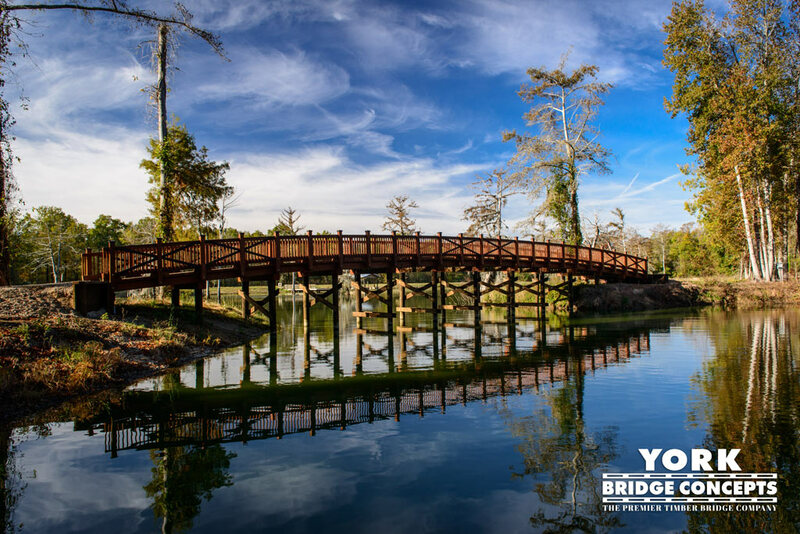 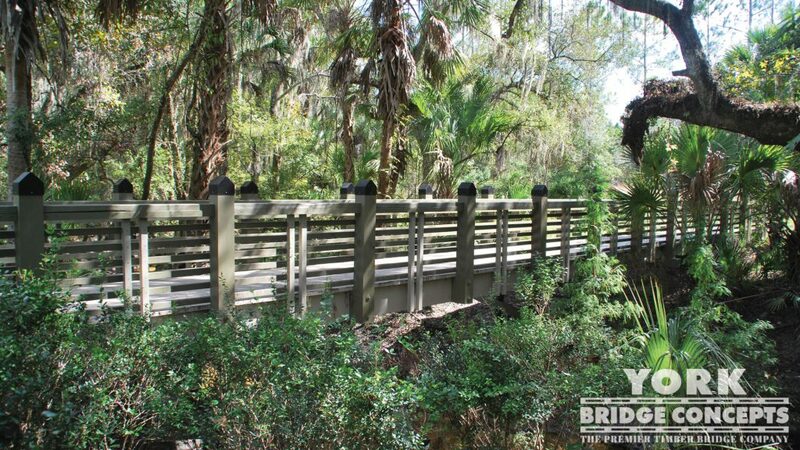 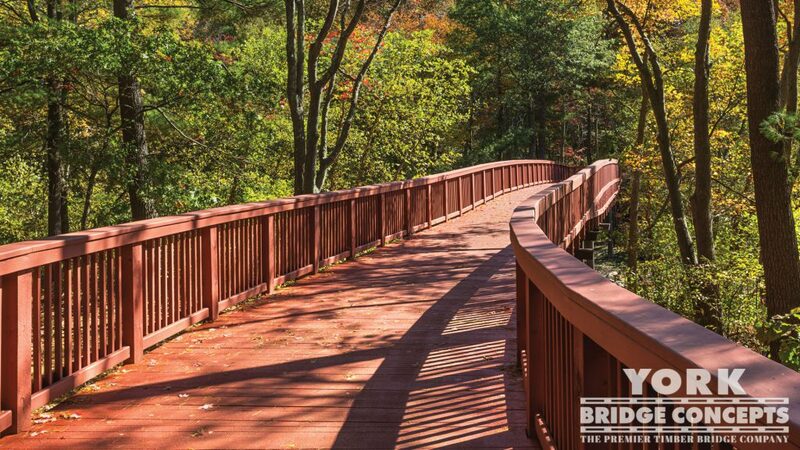 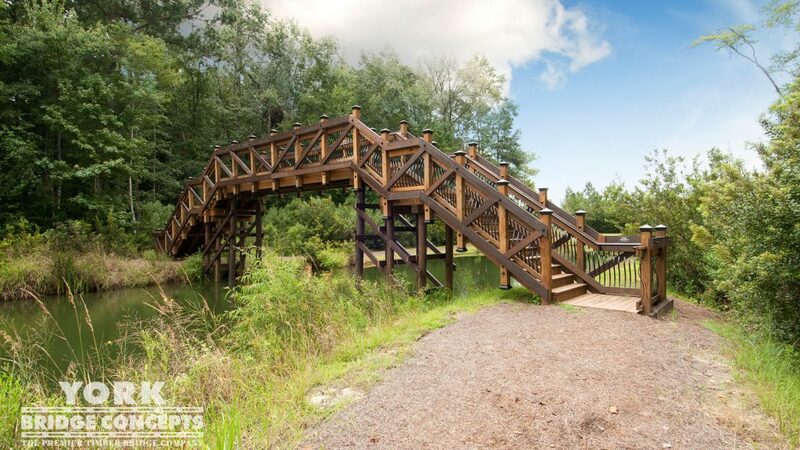 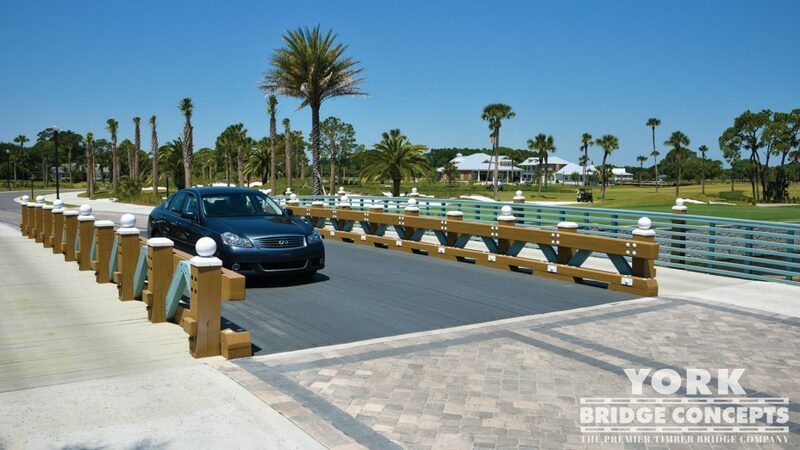 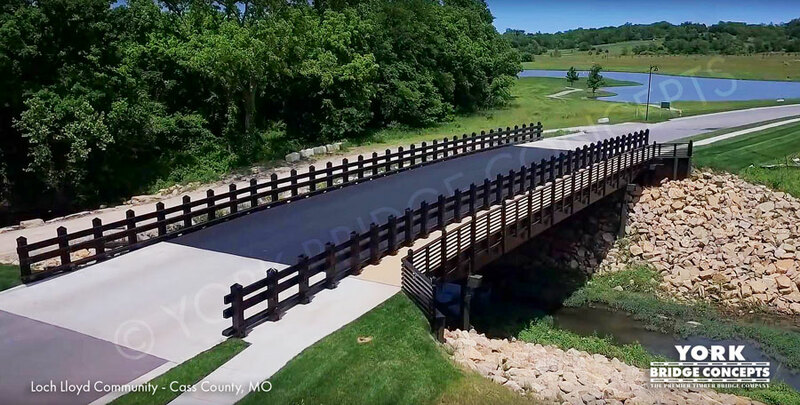 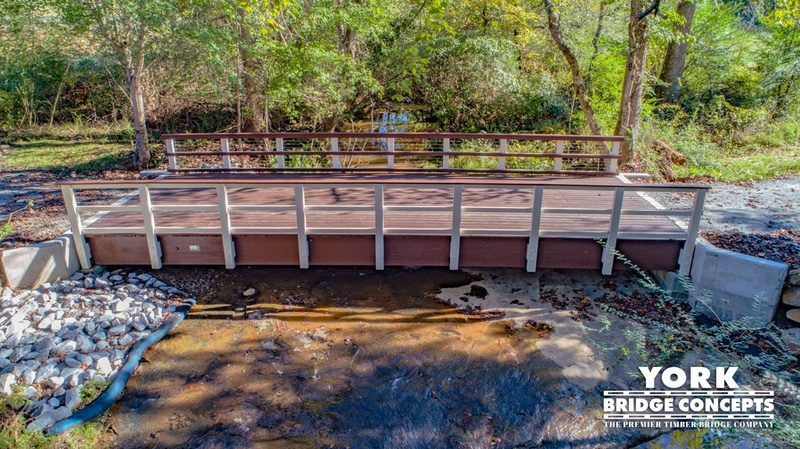 We appreciate the design of the four bridges as they blend beautifully with the character of our course and add consistency to the property while reducing maintenance requirements."